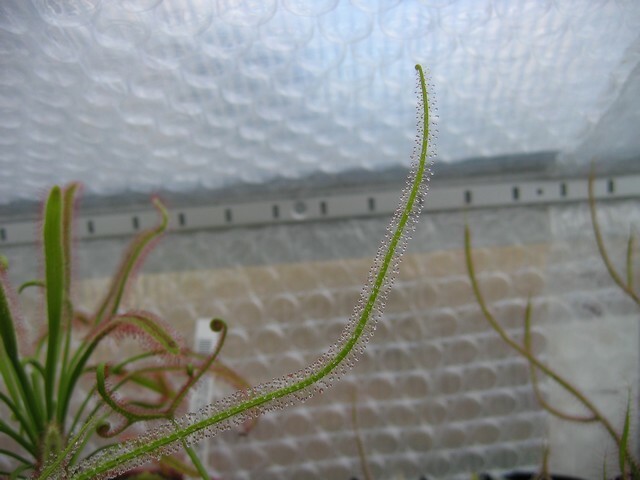 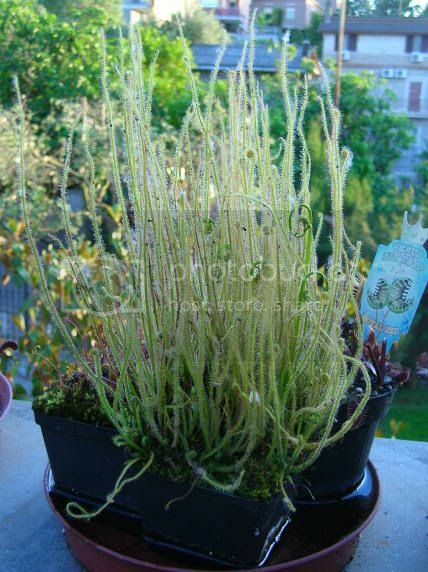 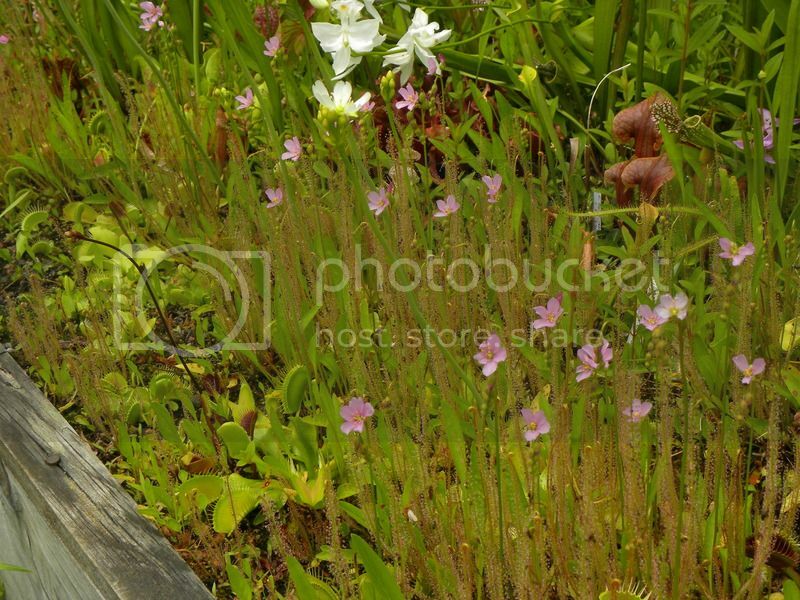 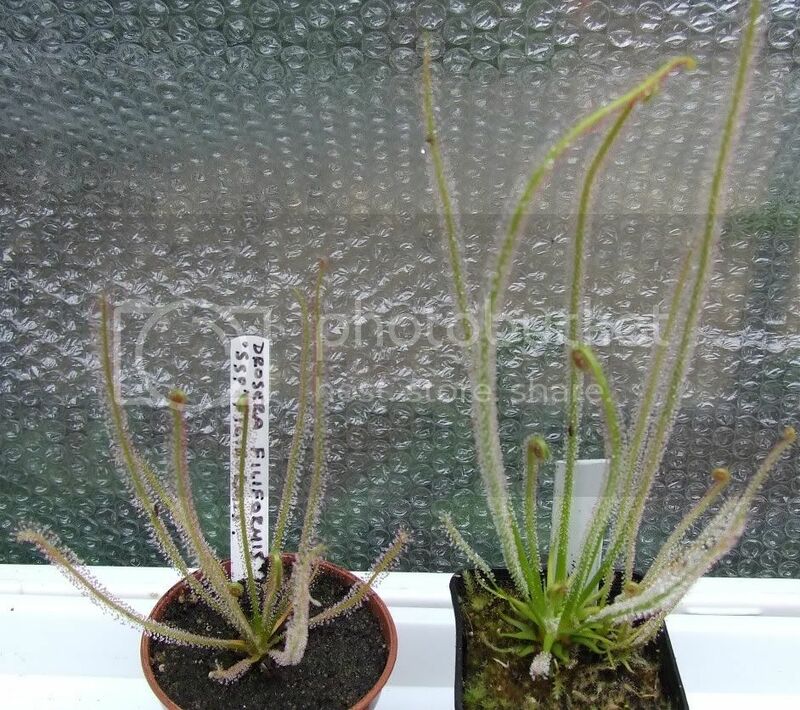 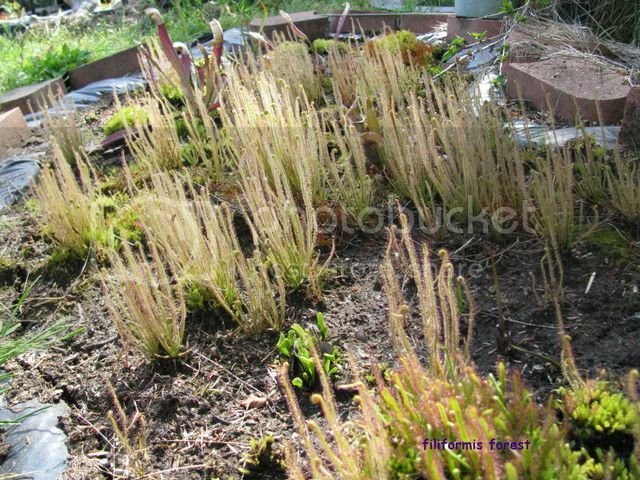 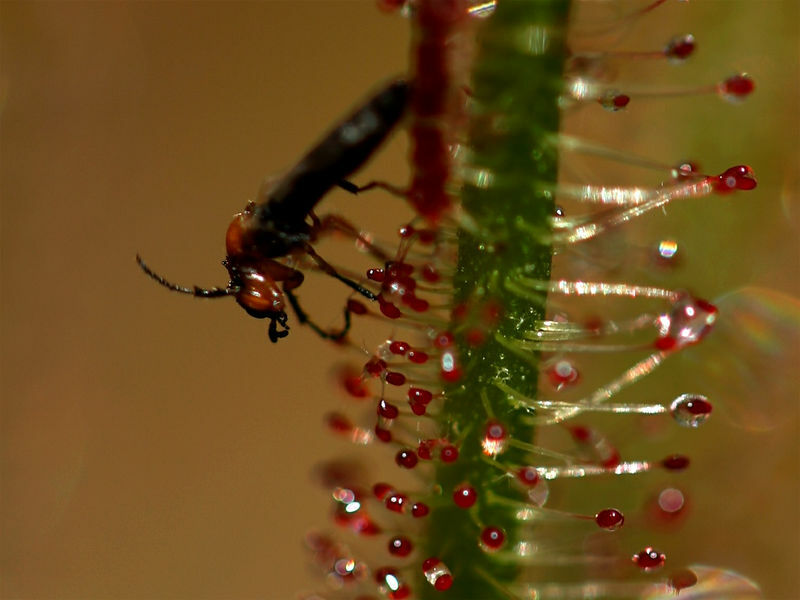 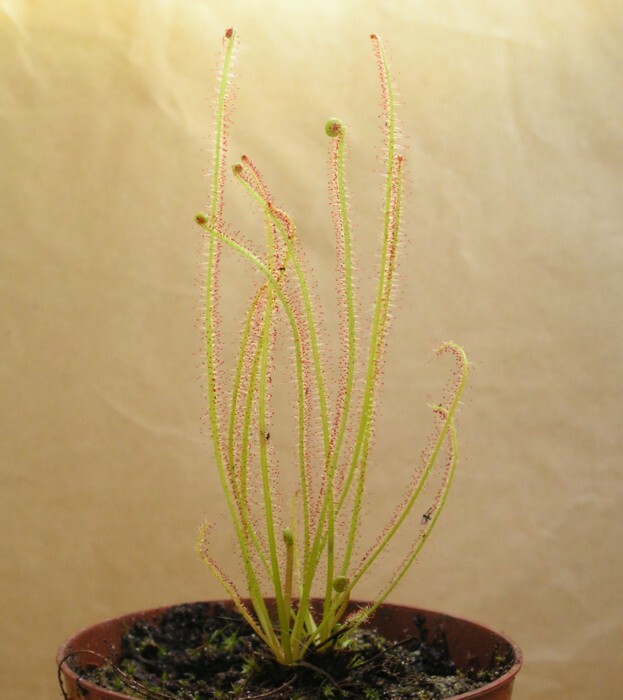 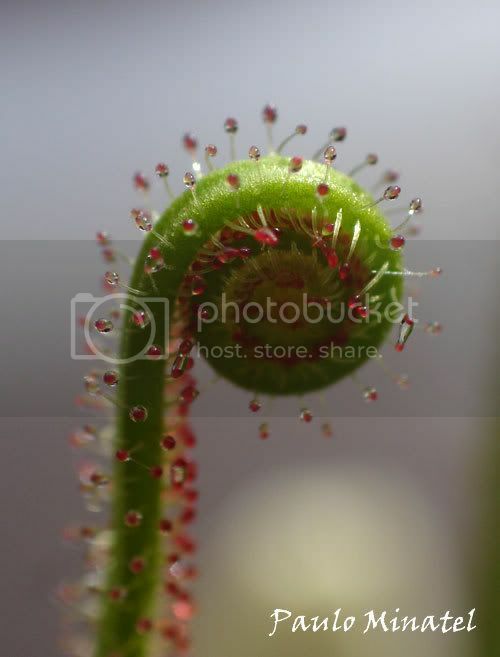 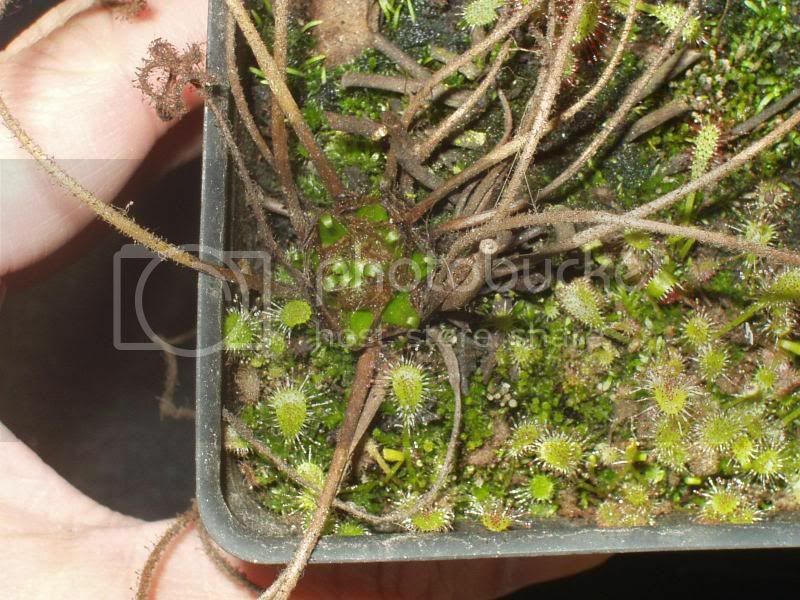 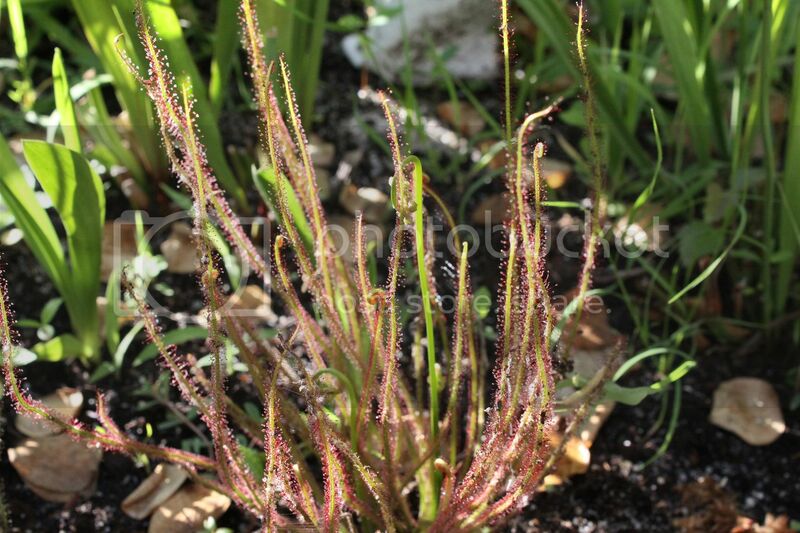 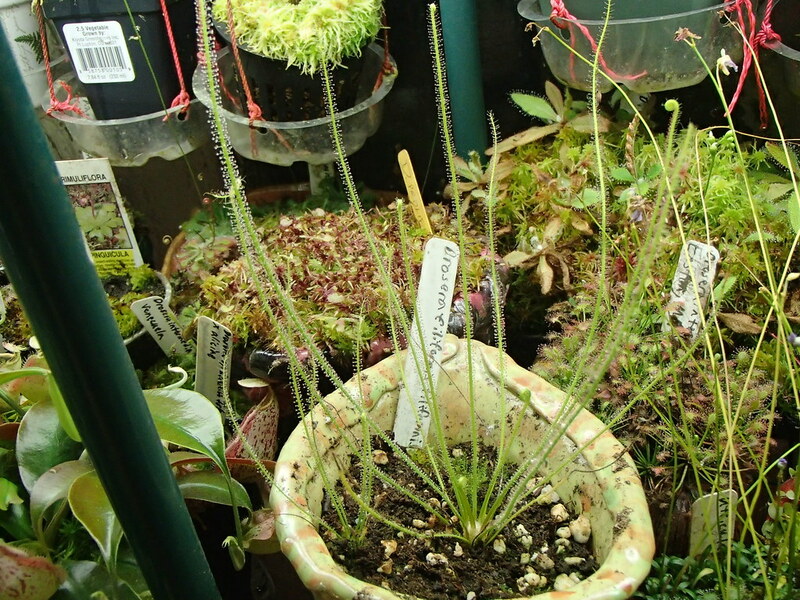 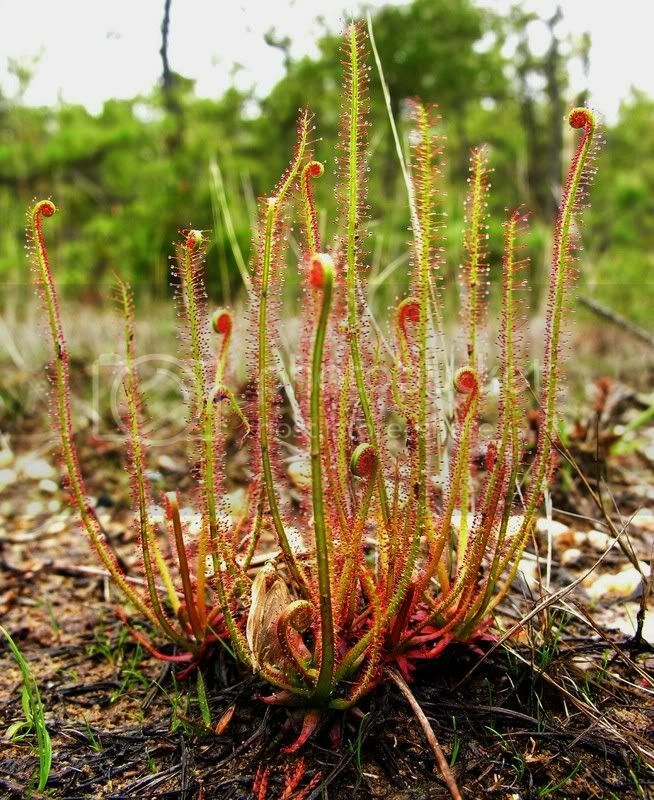 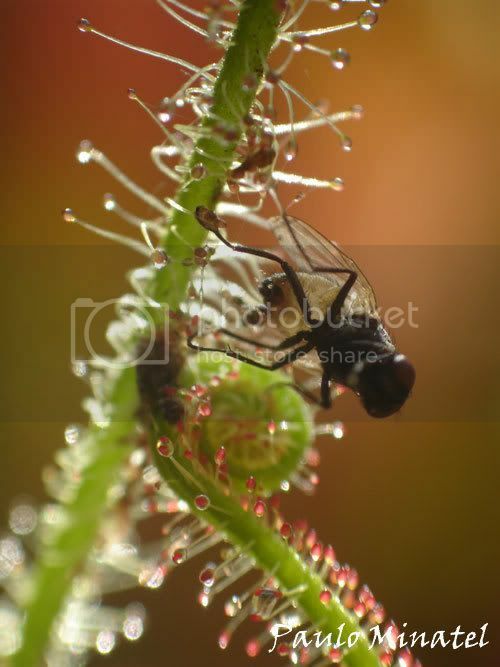 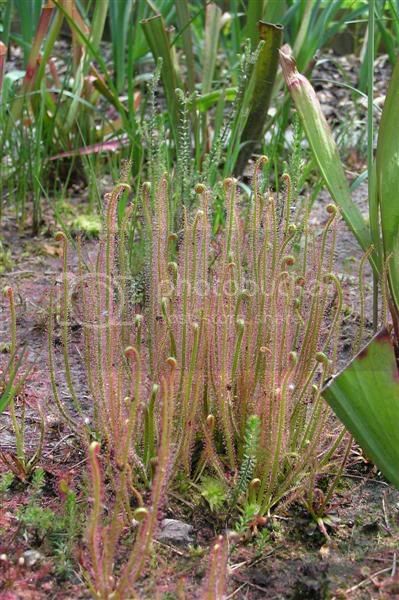 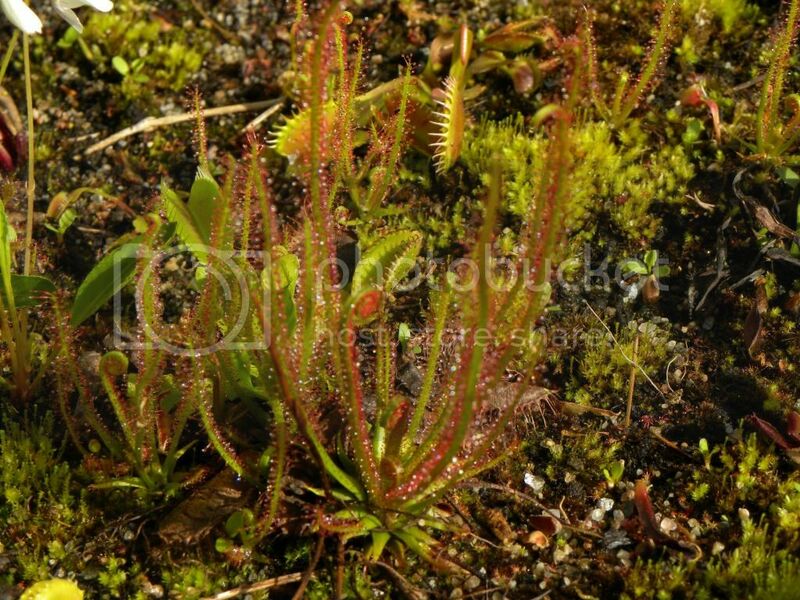 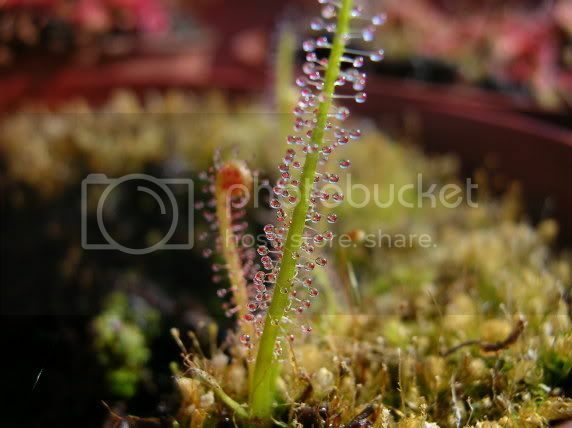 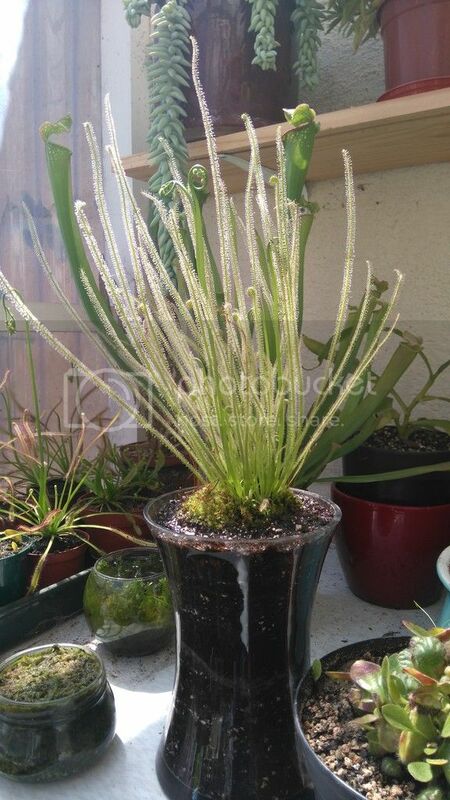 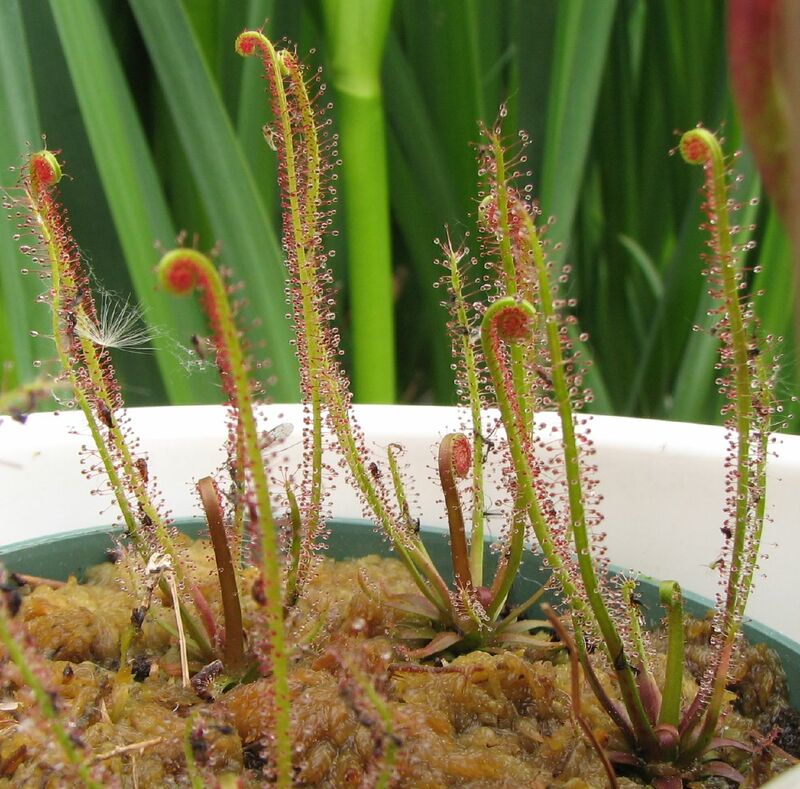 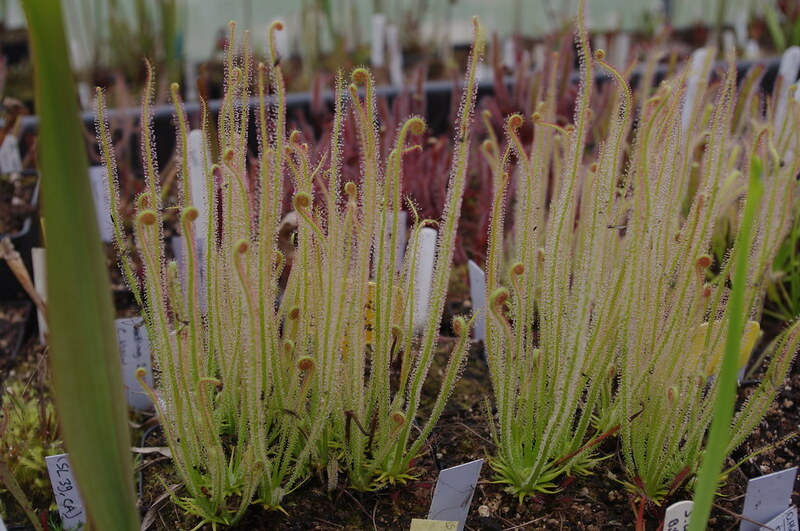 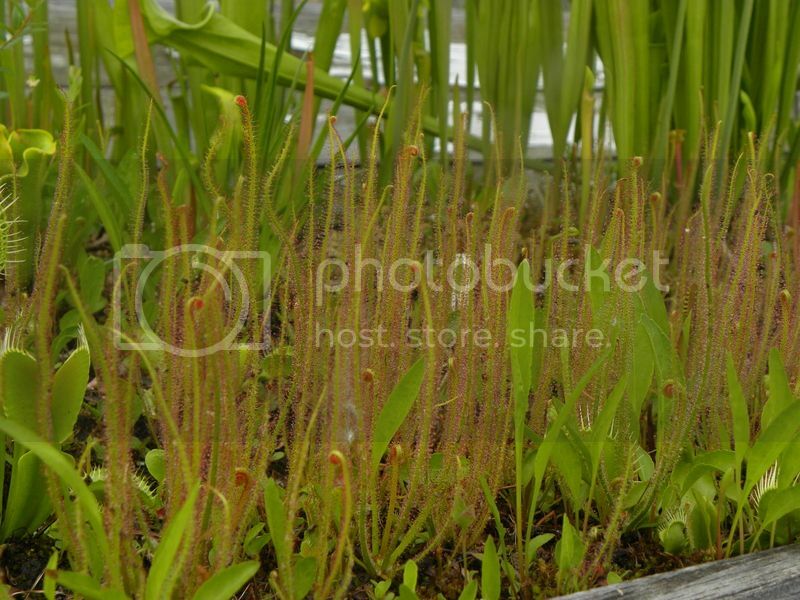 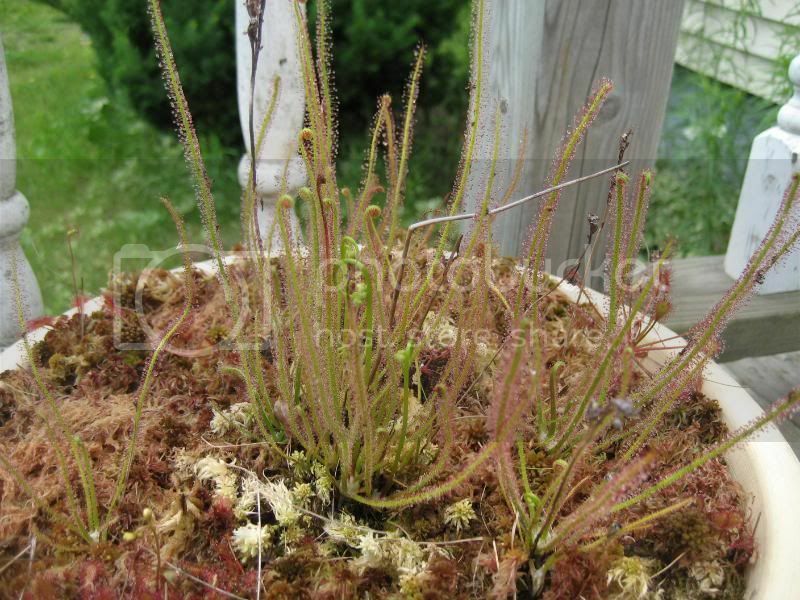 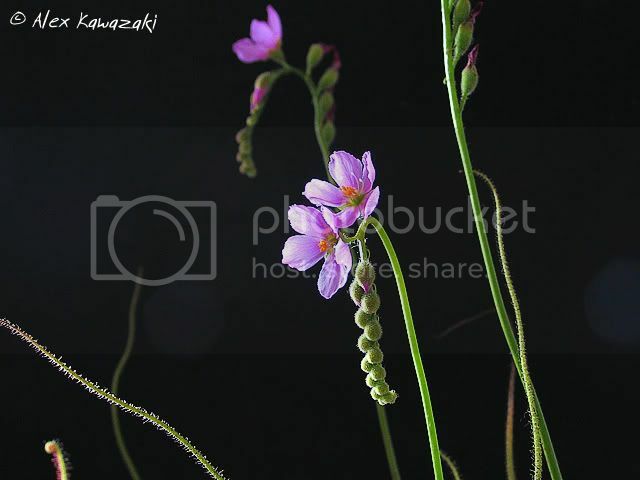 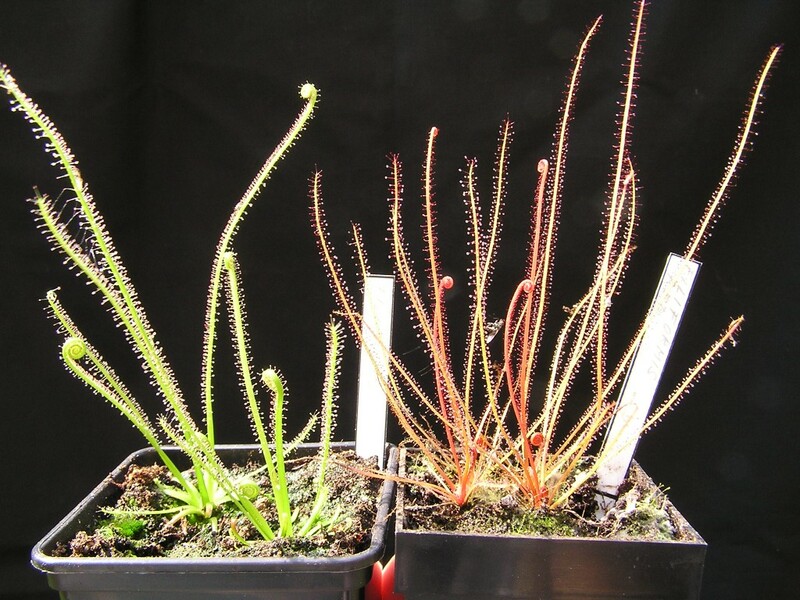 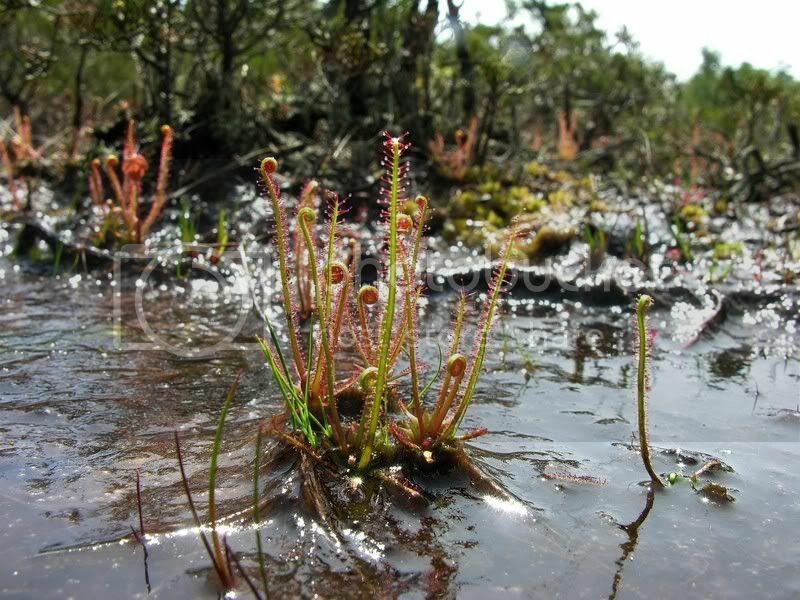 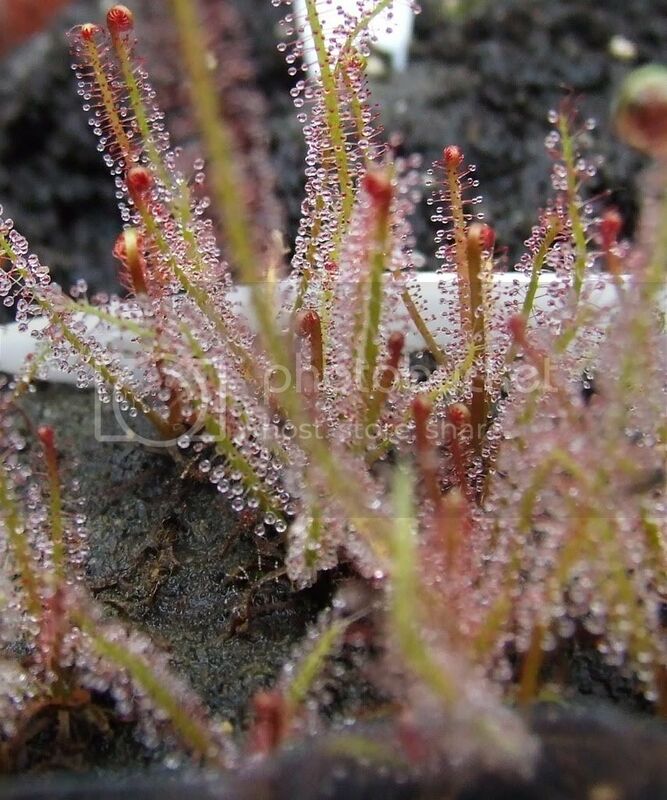 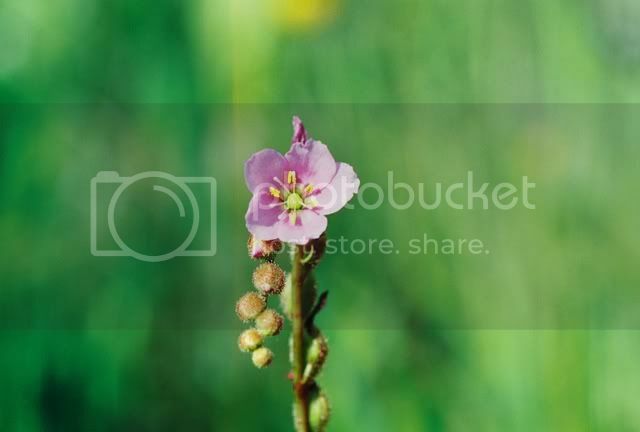 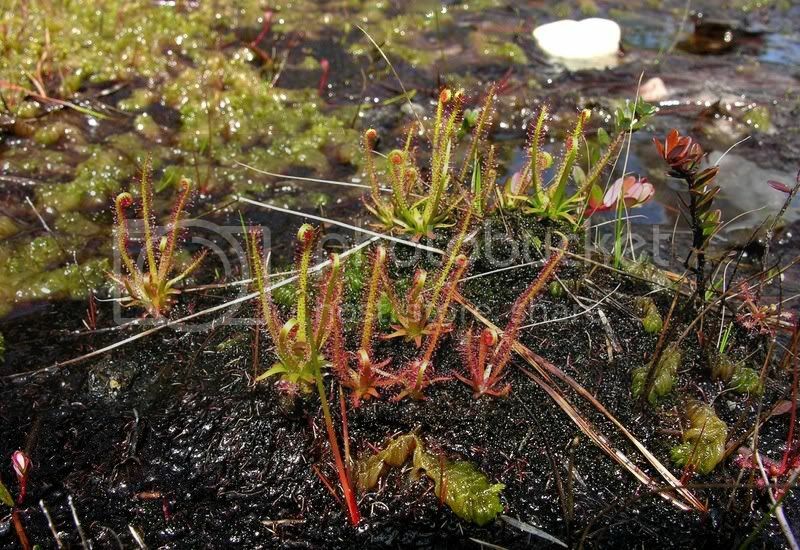 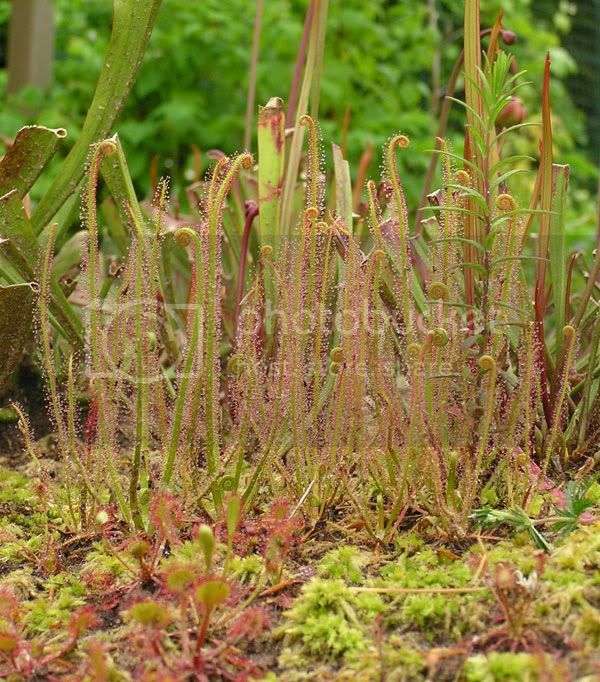 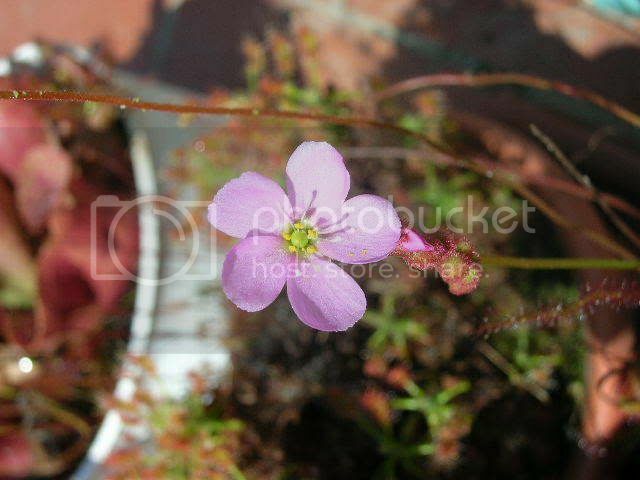 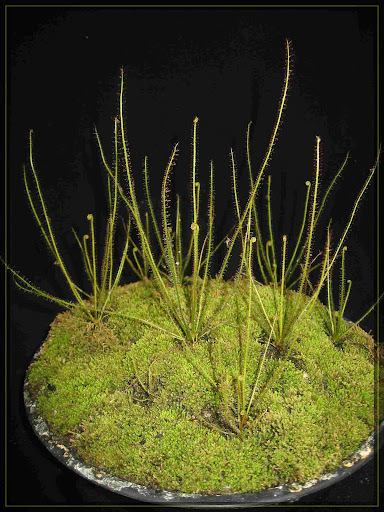 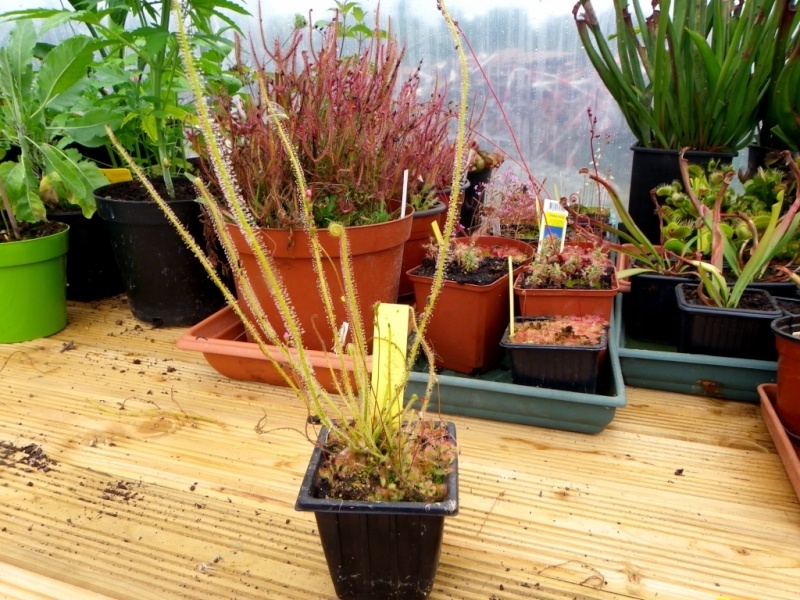 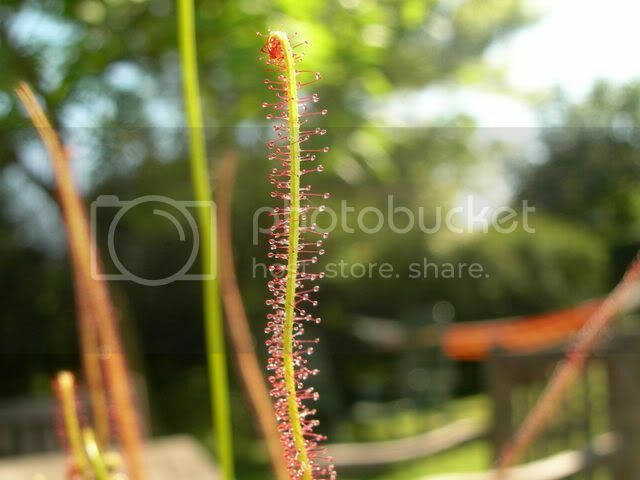 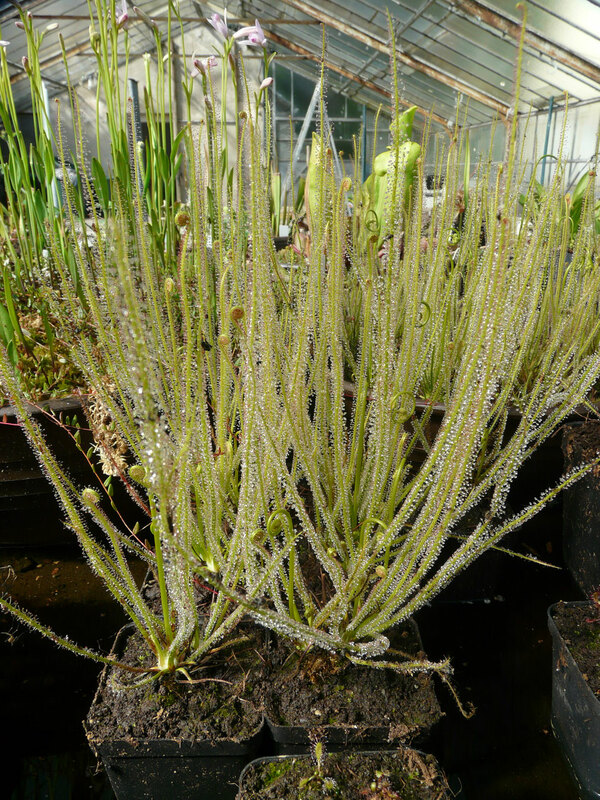 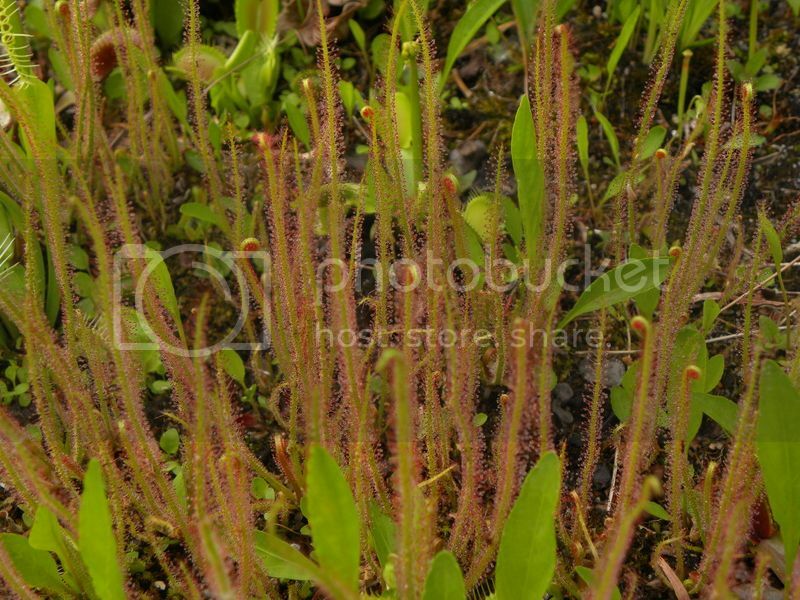 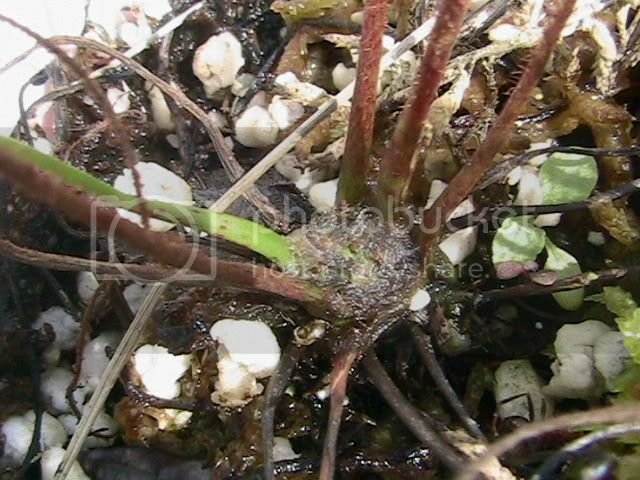 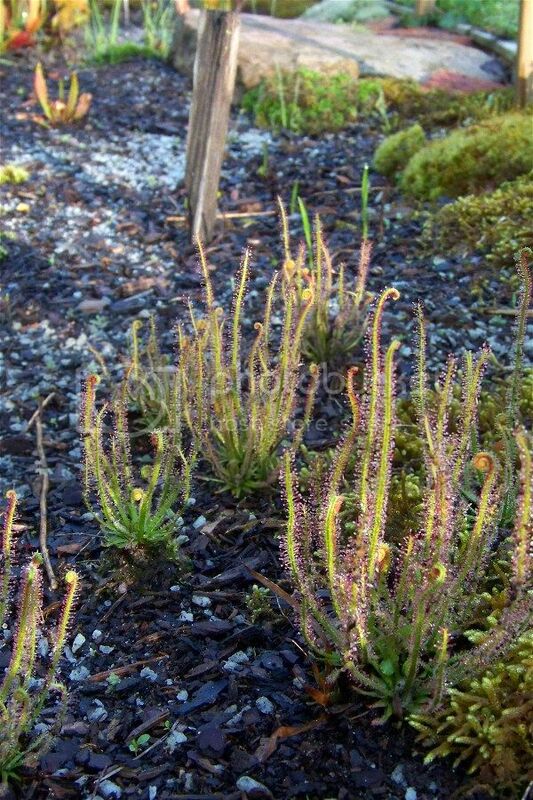 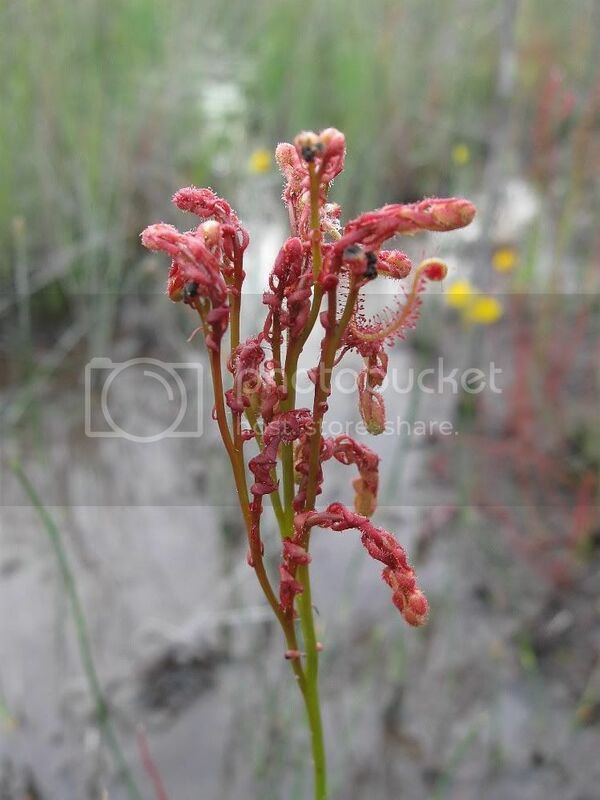 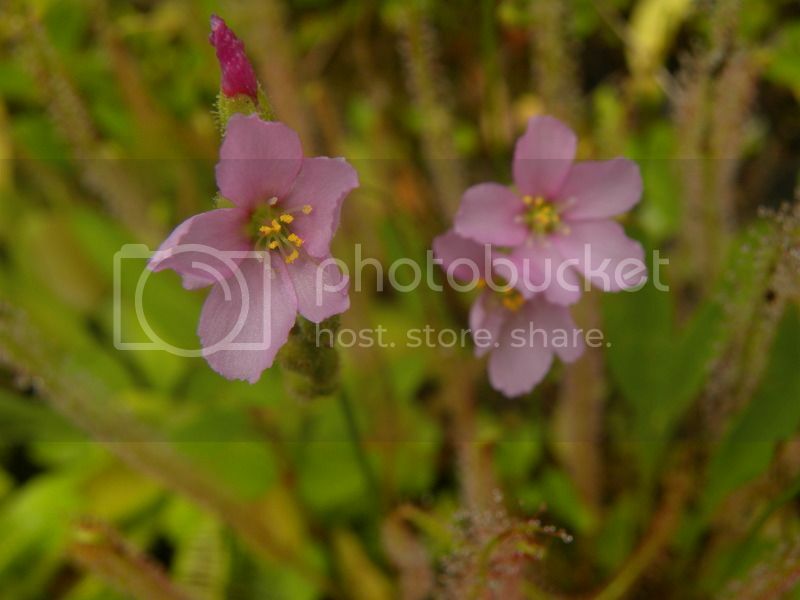 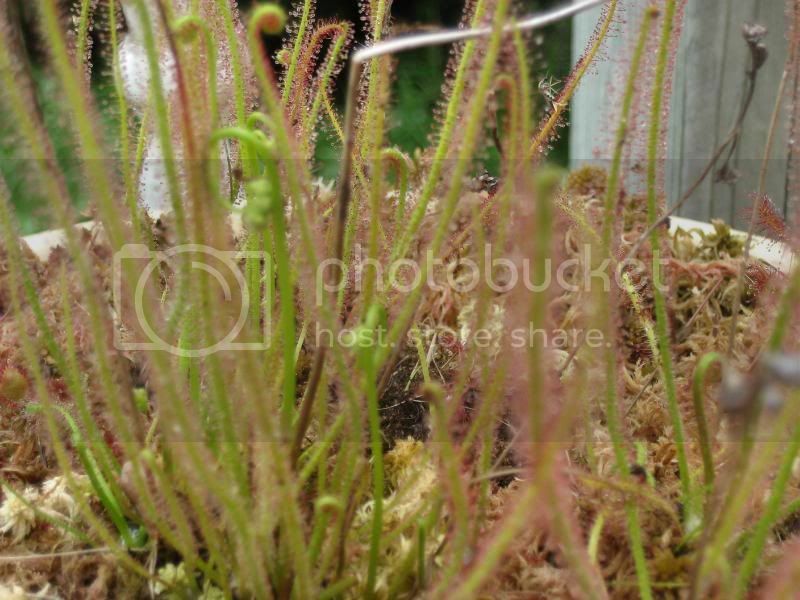 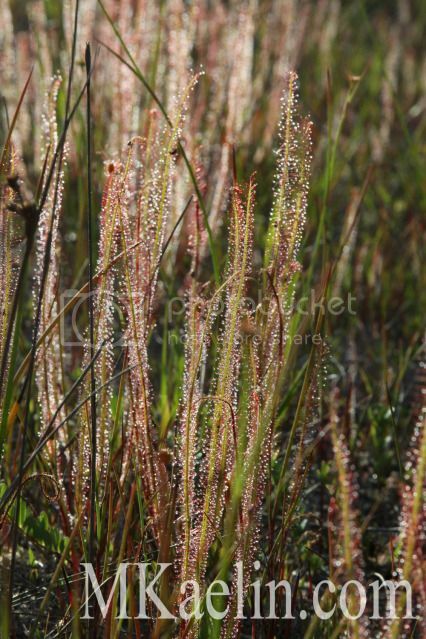 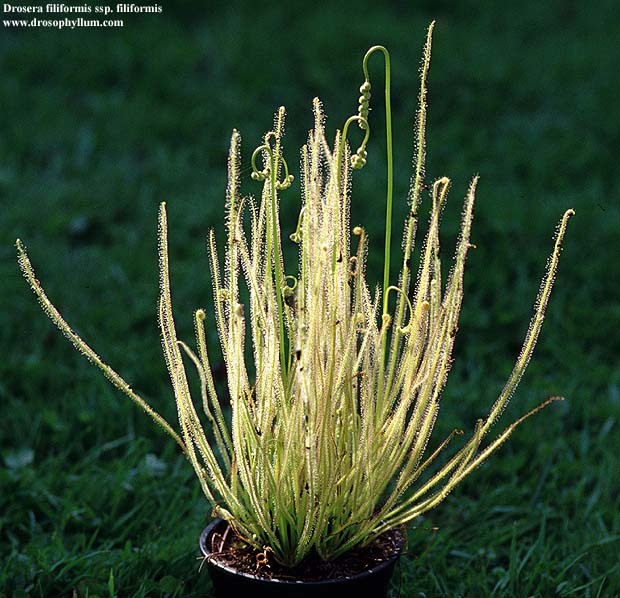 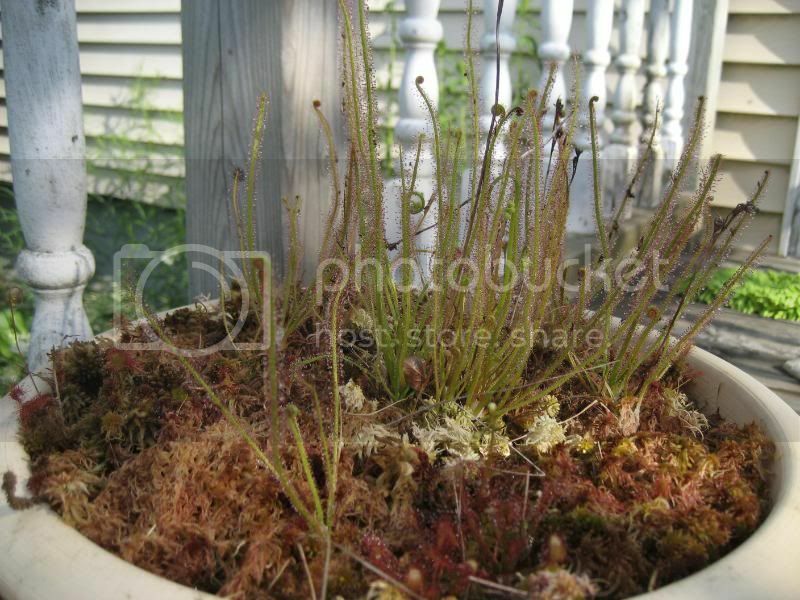 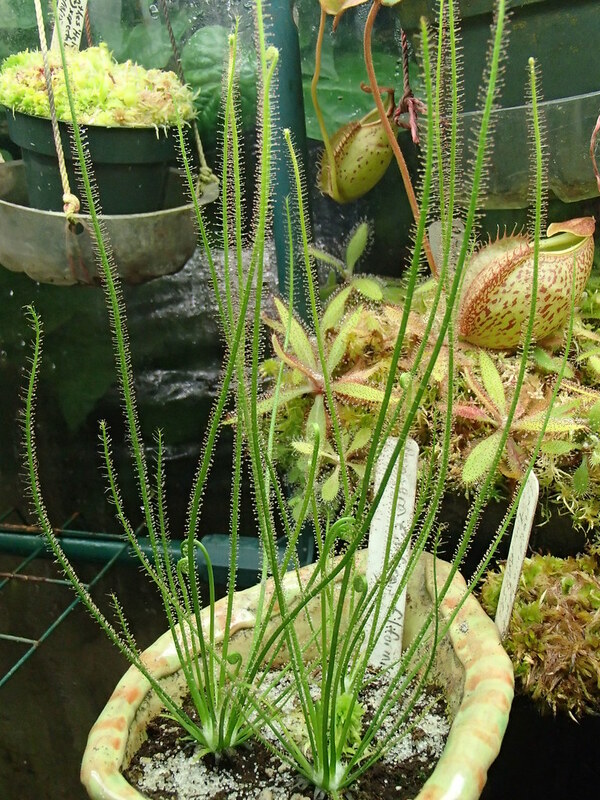 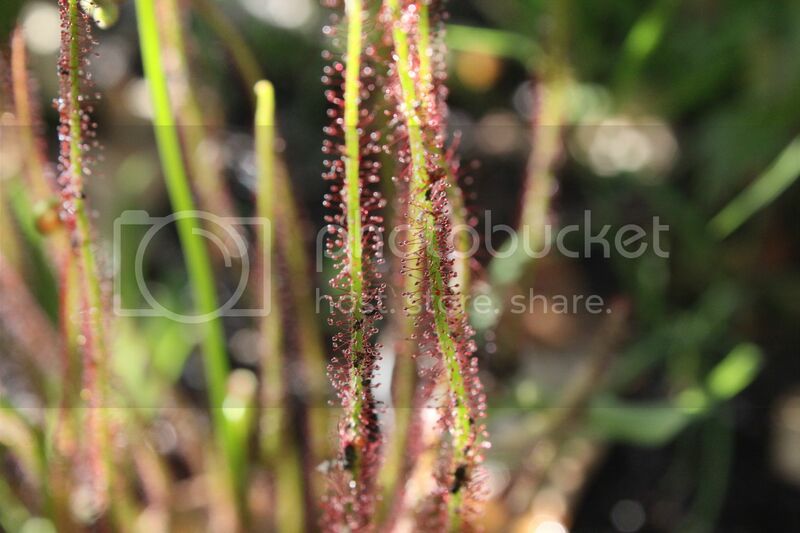 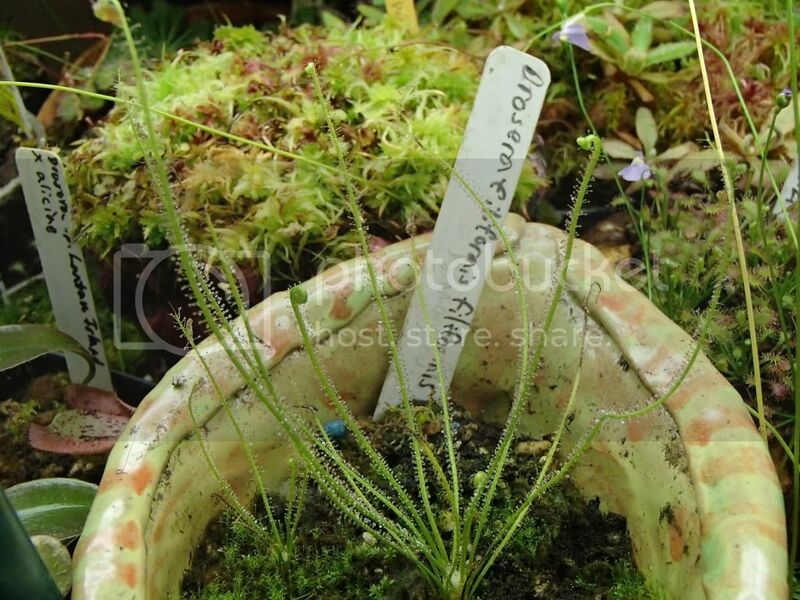 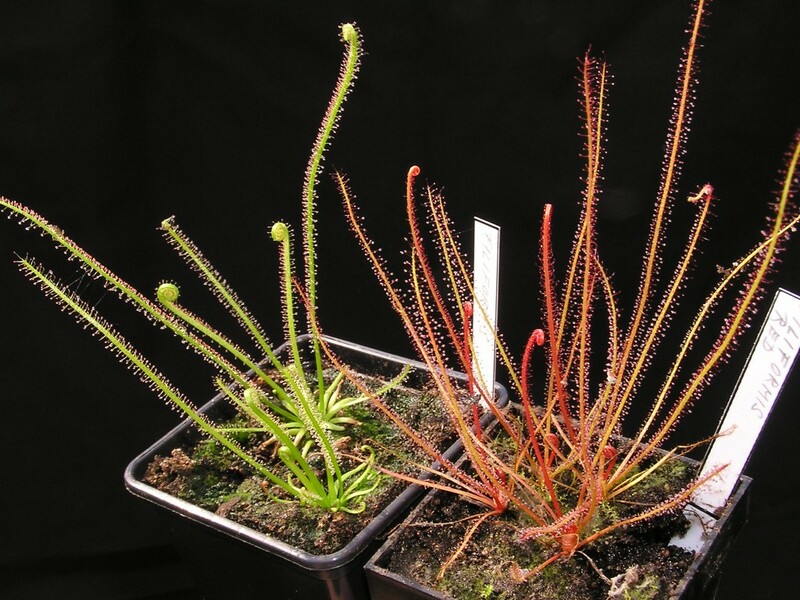 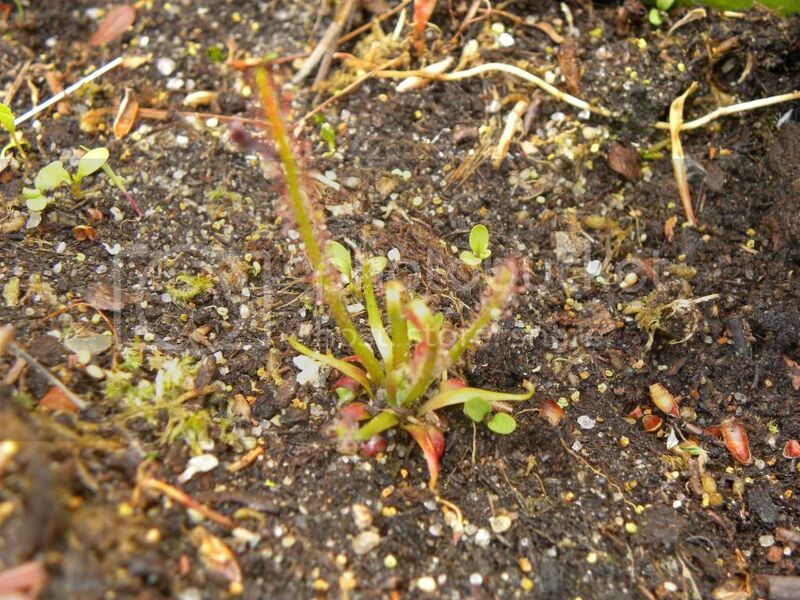 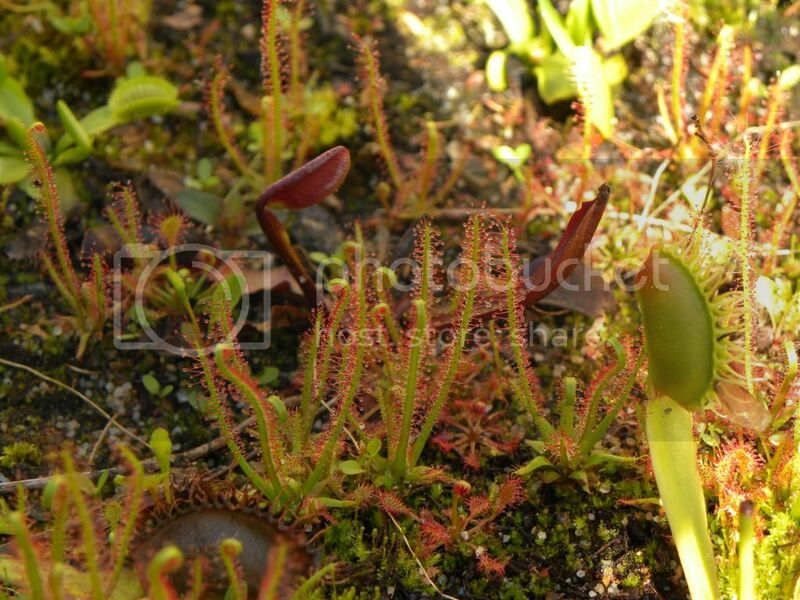 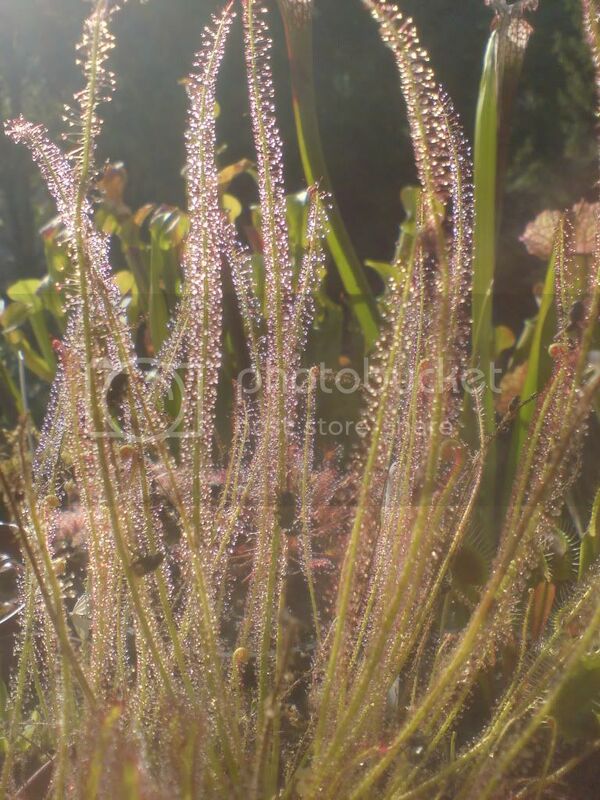 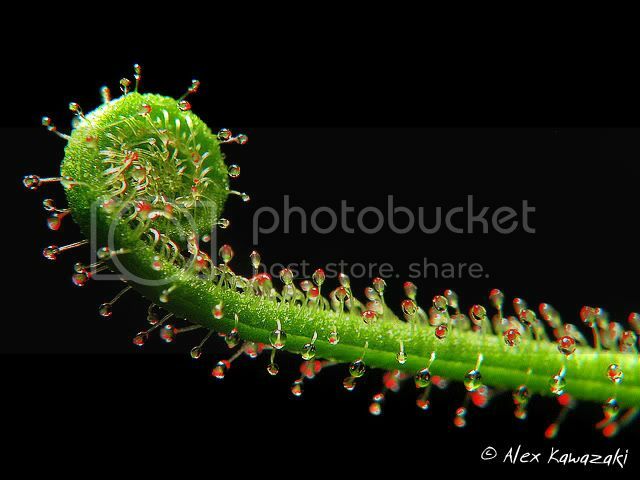 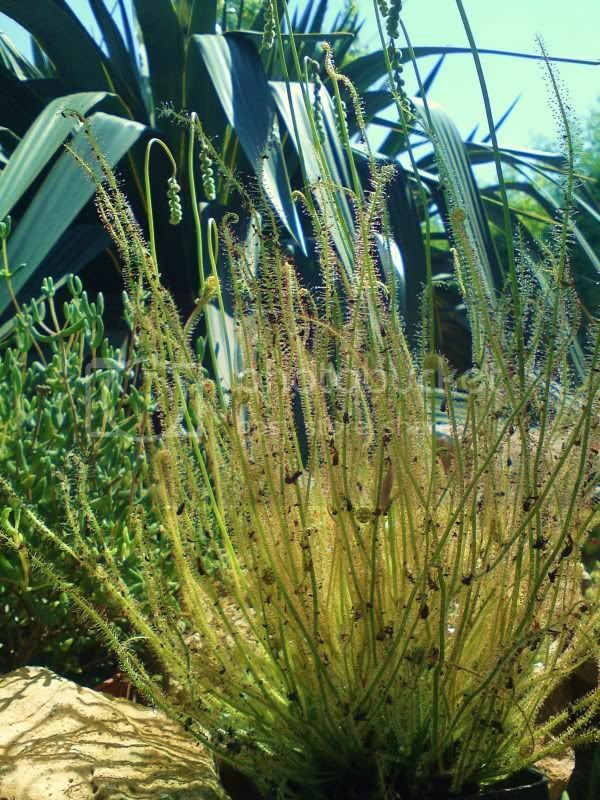 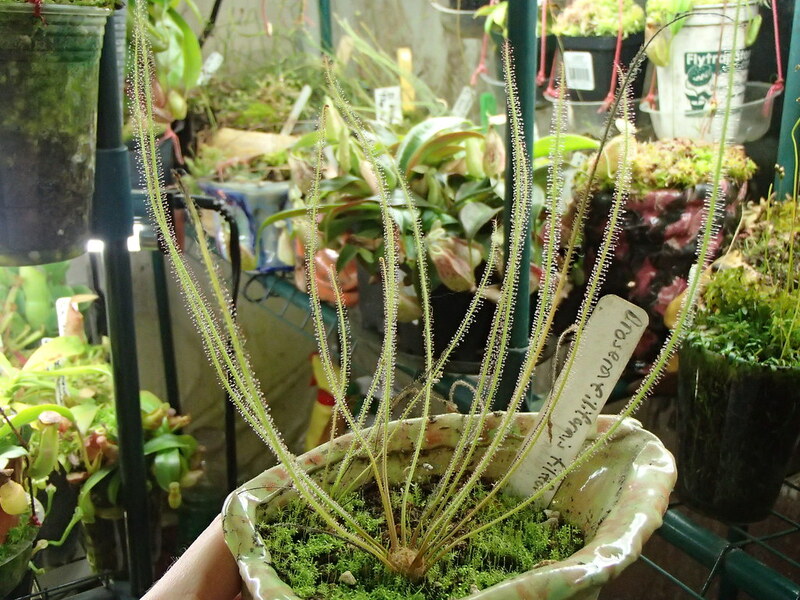 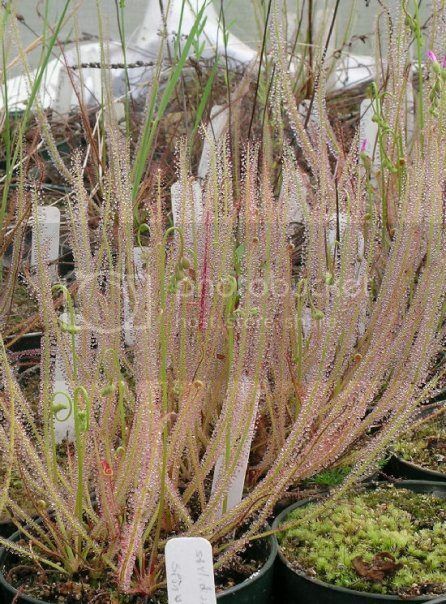 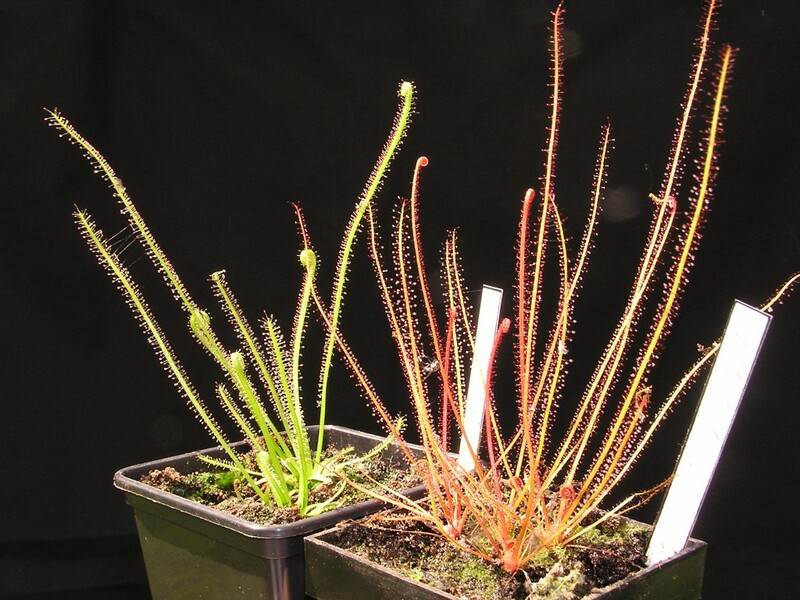 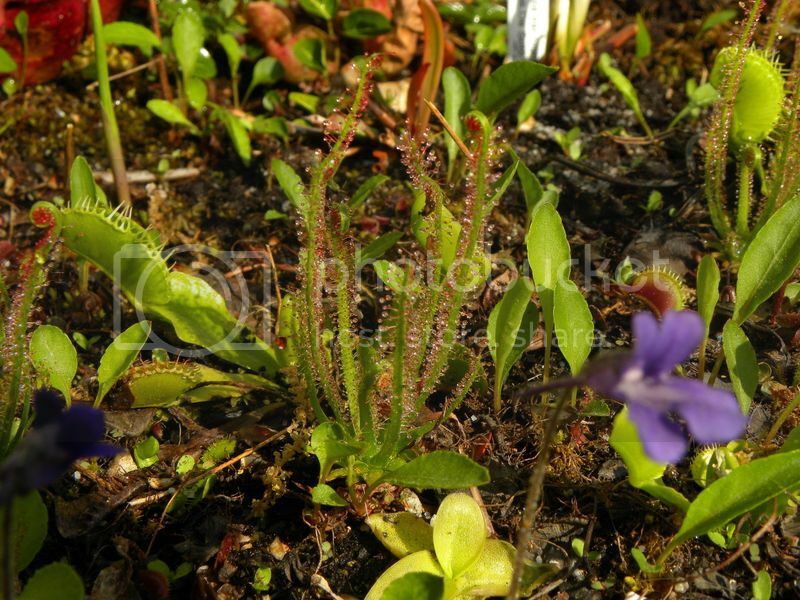 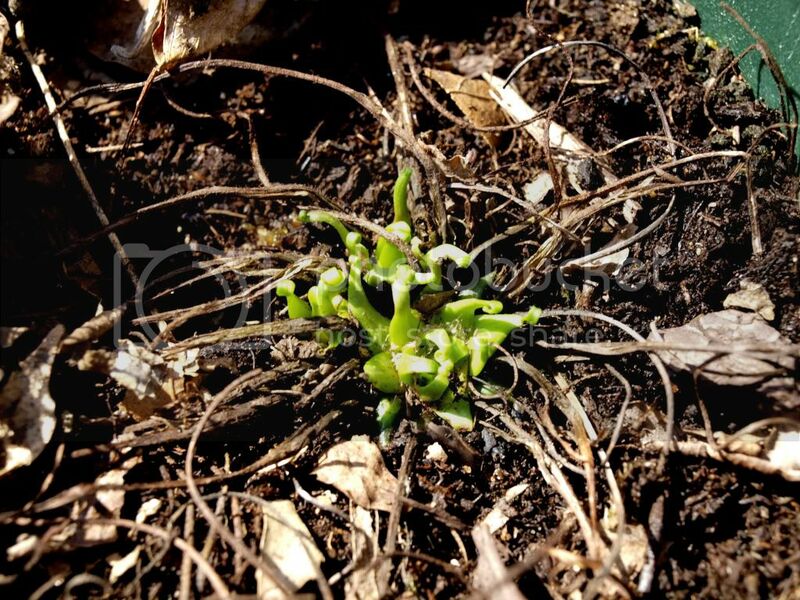 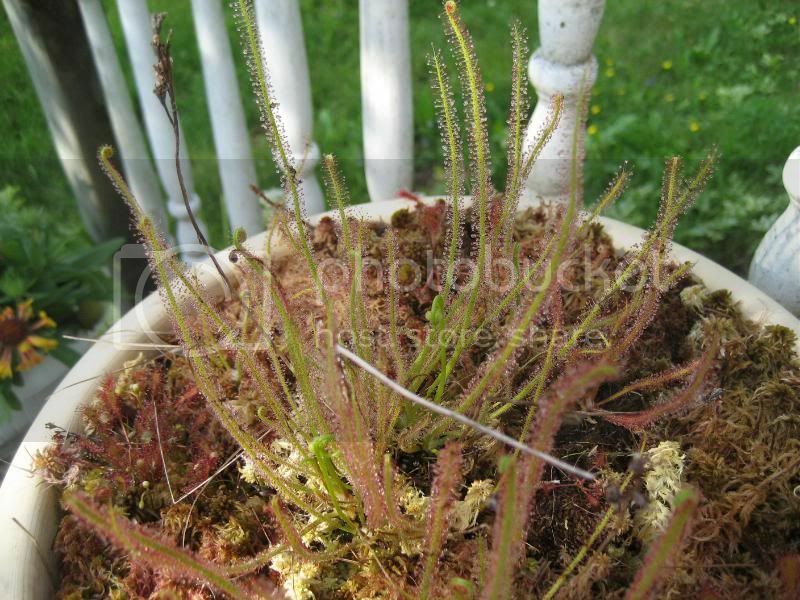 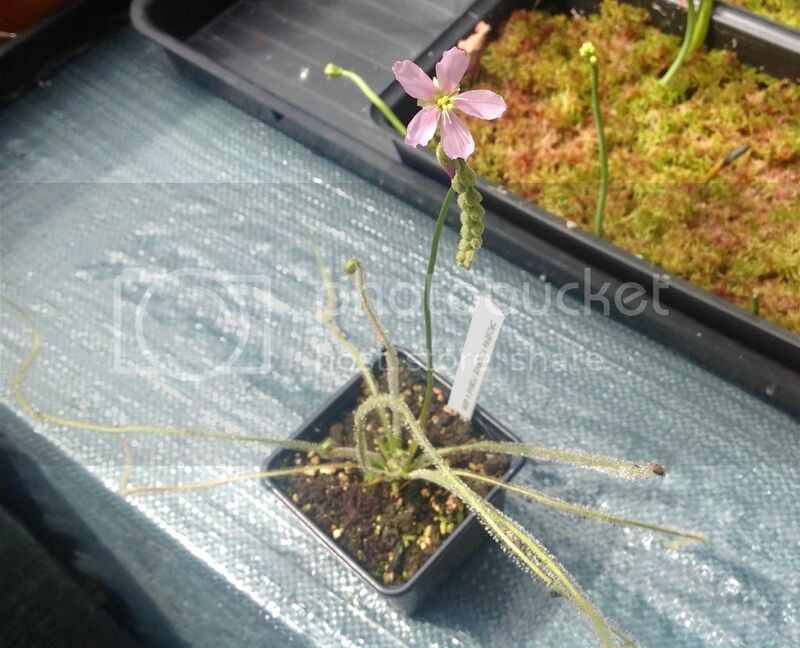 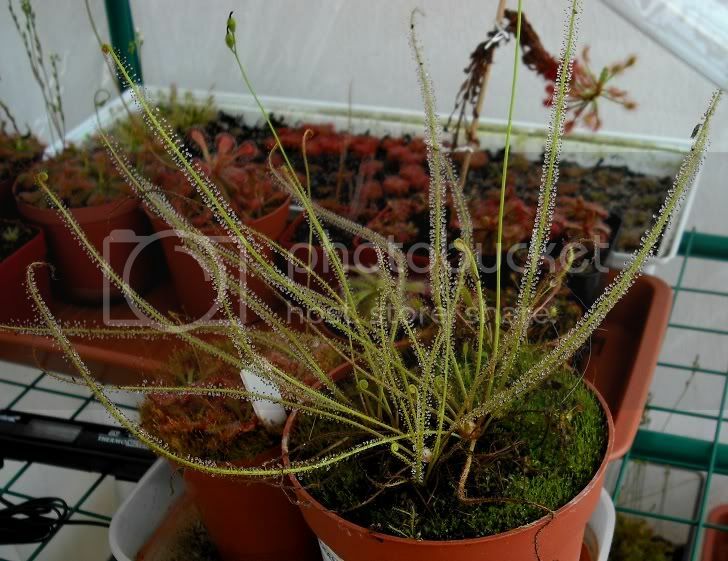 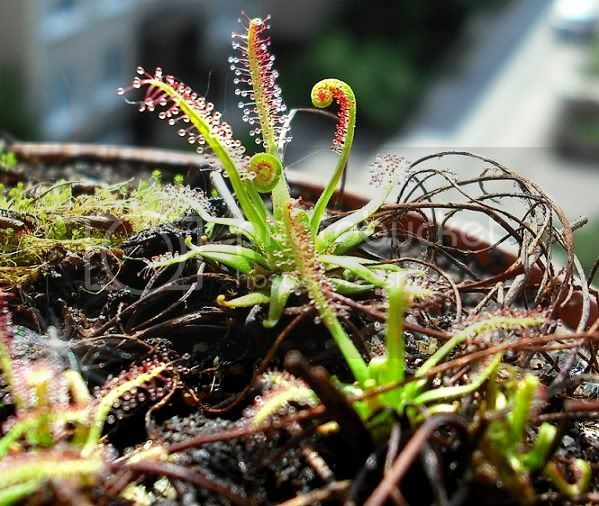 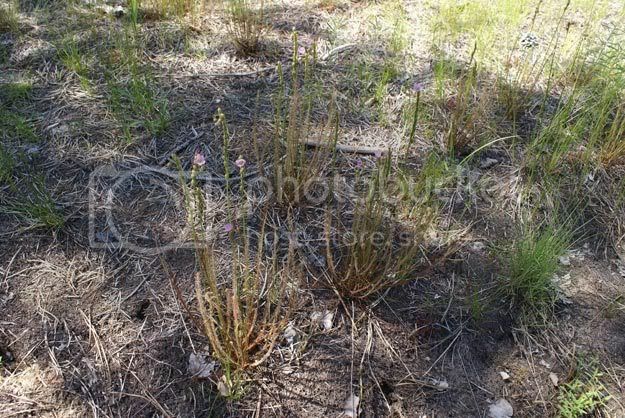 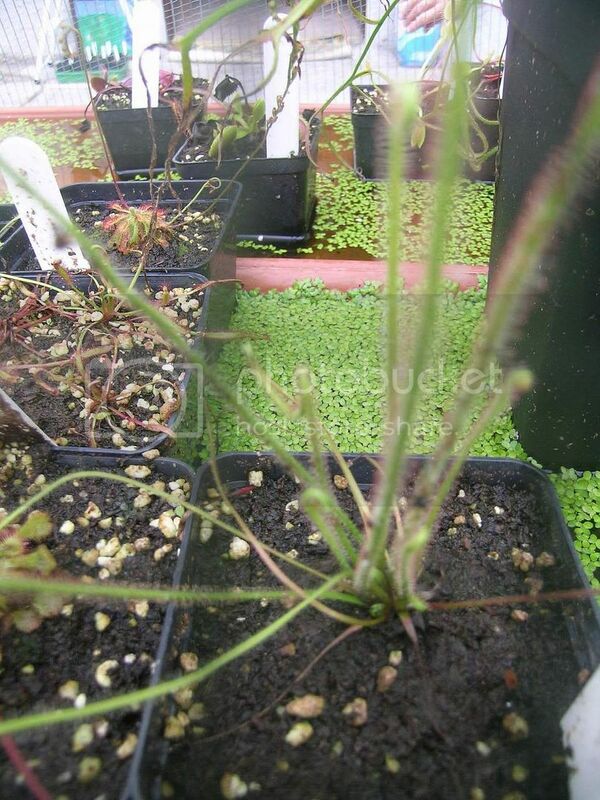 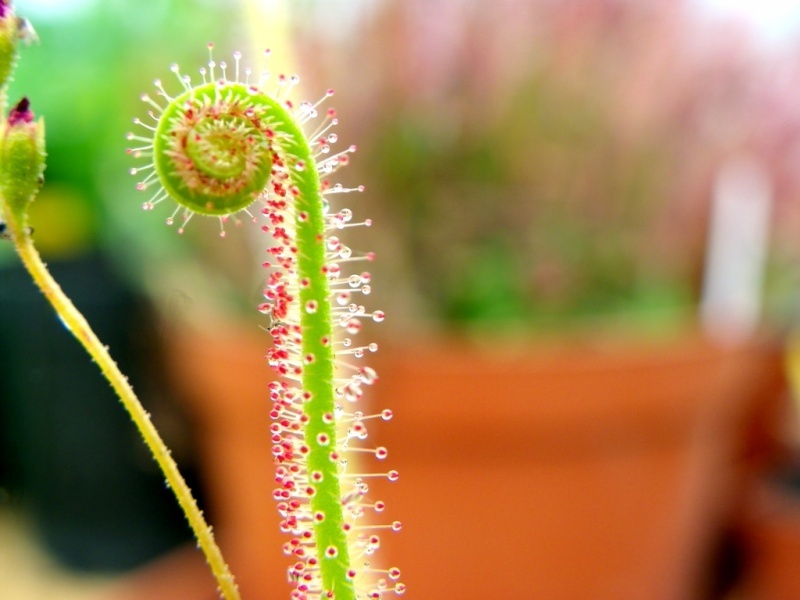 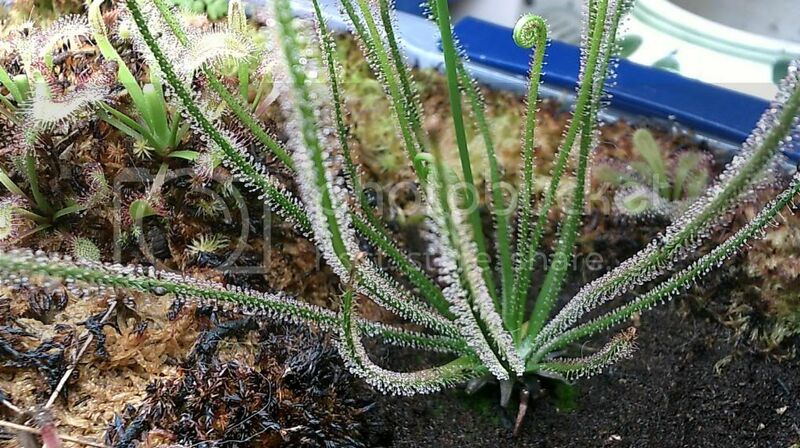 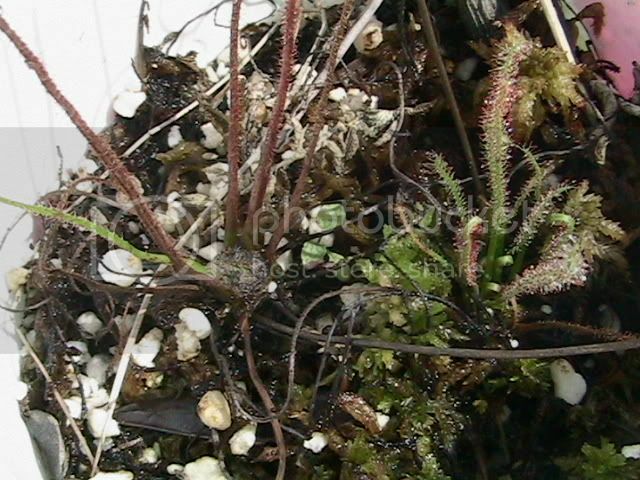 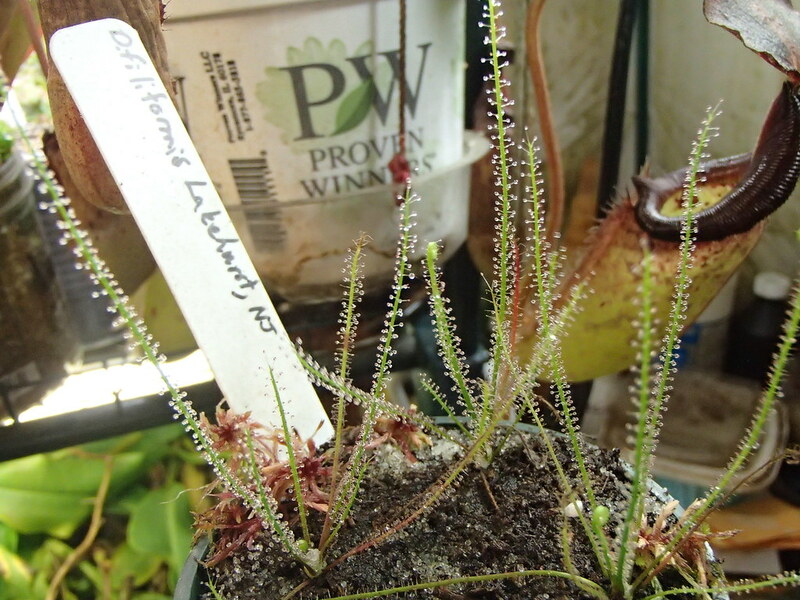 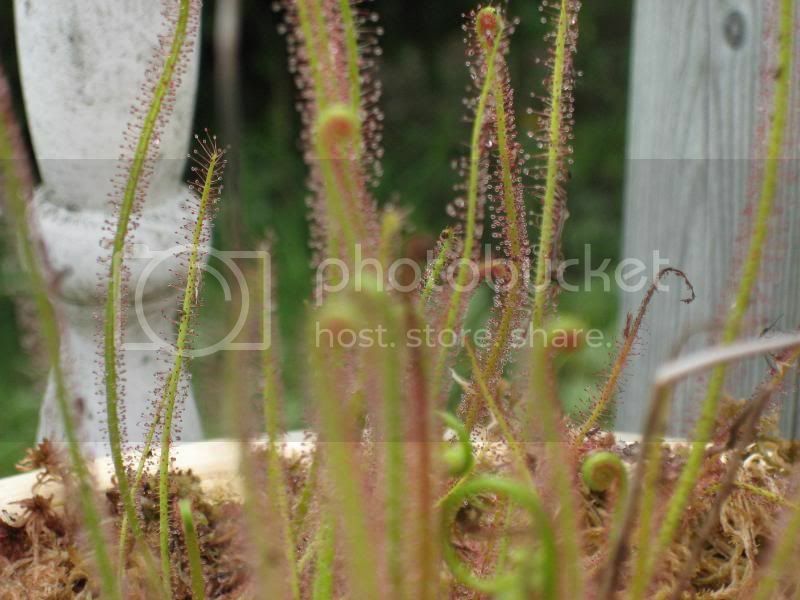 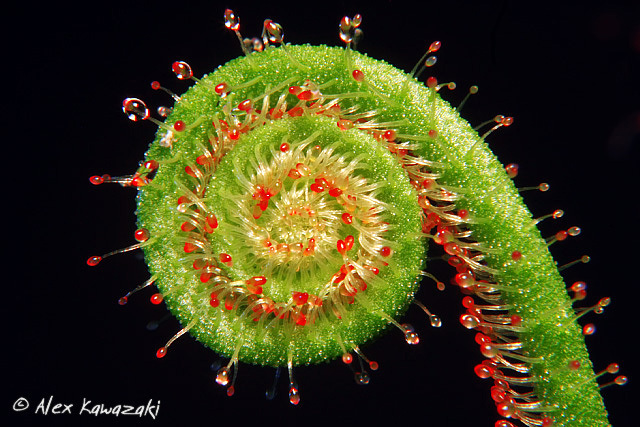 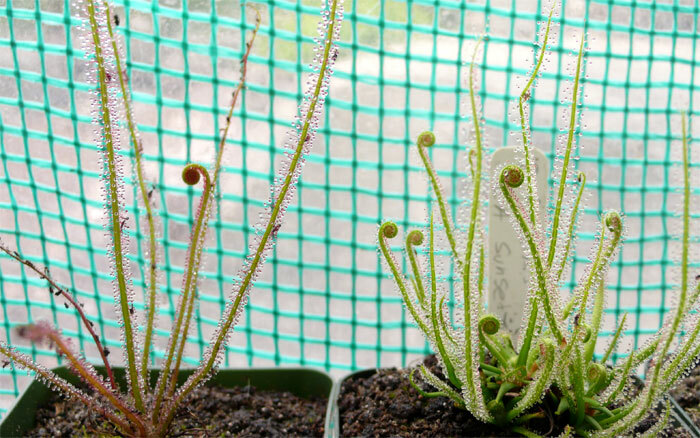 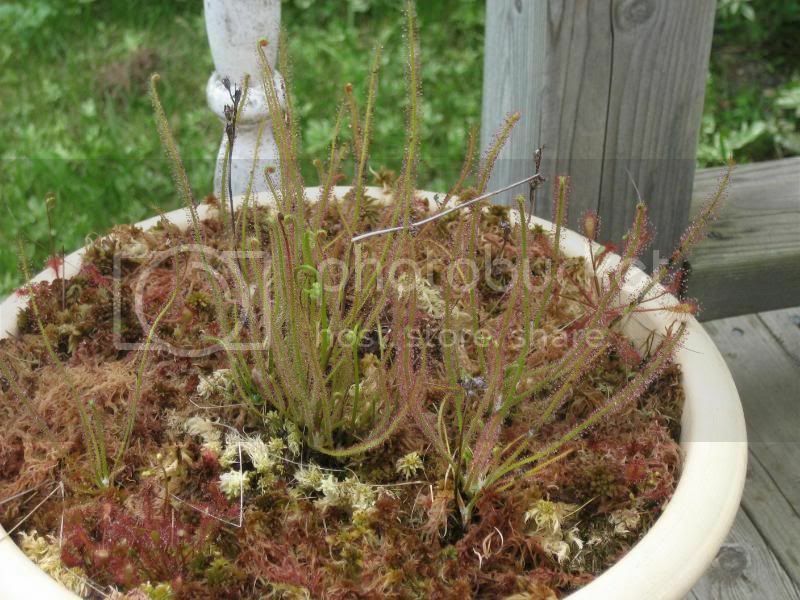 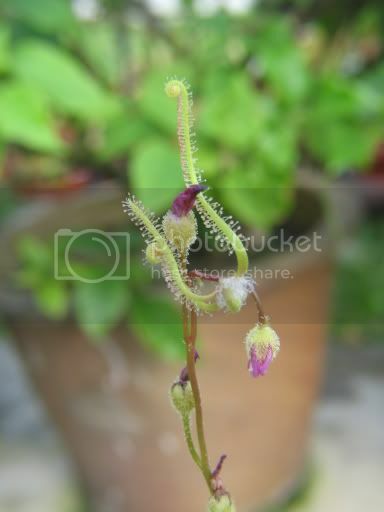 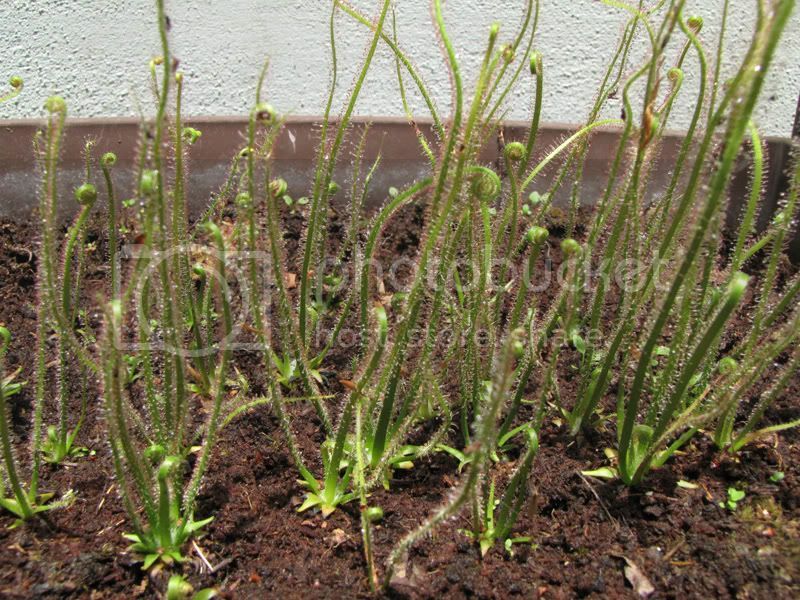 http://www.sarracenia.cz/informace/drosera/filiformis/filiformis01.jpg filiformis and filiformis "Red"
http://www.sarracenia.cz/informace/drosera/filiformis/filiformis02.jpg filiformis and filiformis "Red"
http://www.sarracenia.cz/informace/drosera/filiformis/filiformis03.jpg filiformis and filiformis "Red"
http://www.carnivorousplants.org/sites/default/files/images/GrowingGuides/D_filiformis_tracyi_wide.jpg From left to right: D filiformis var. 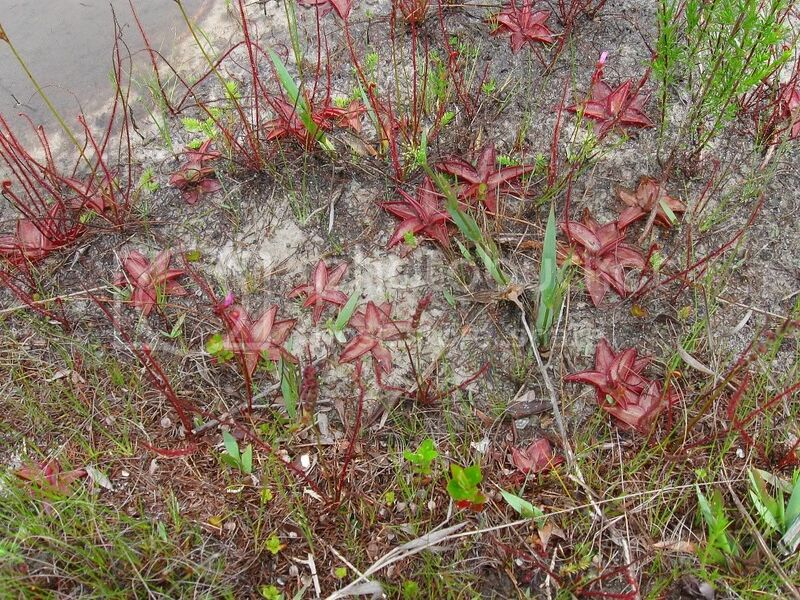 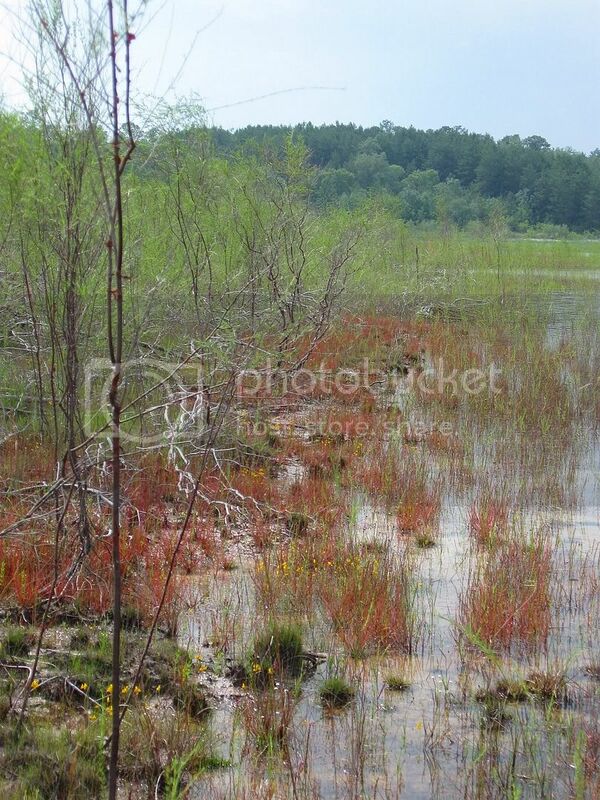 floridana, exceptionally red plant, WashingtonCounty, Florida. 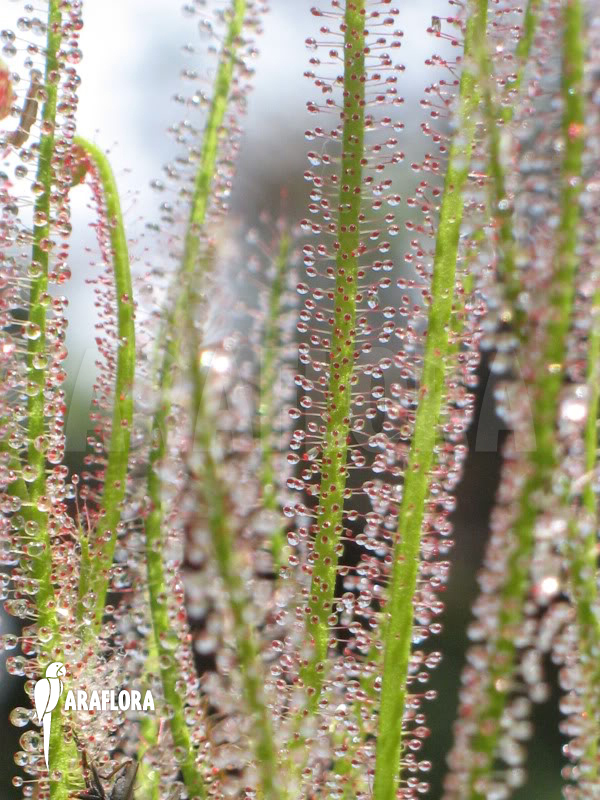 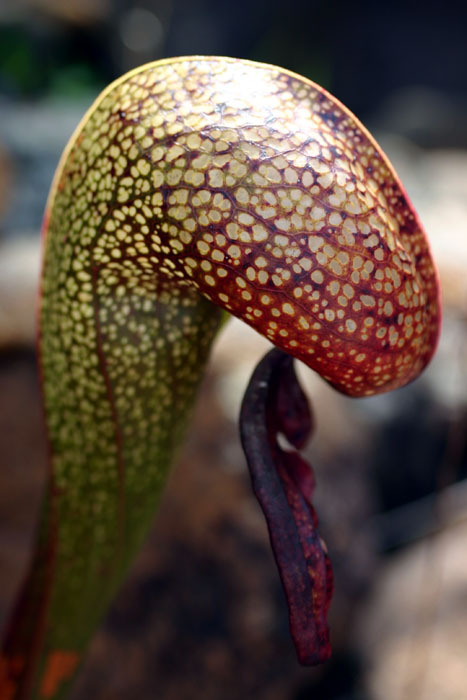 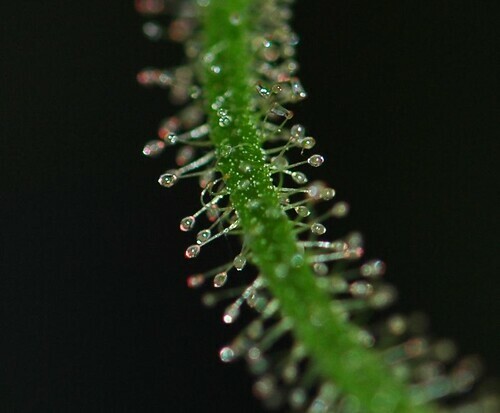 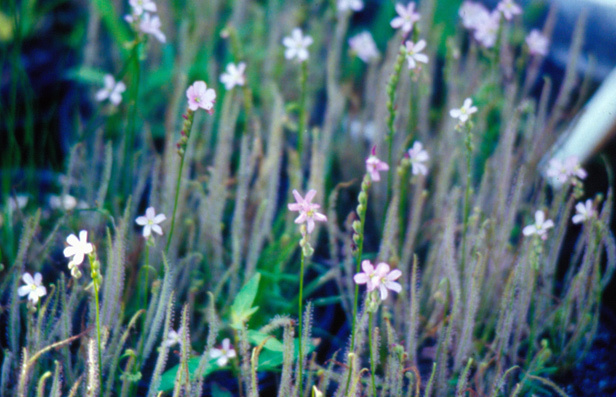 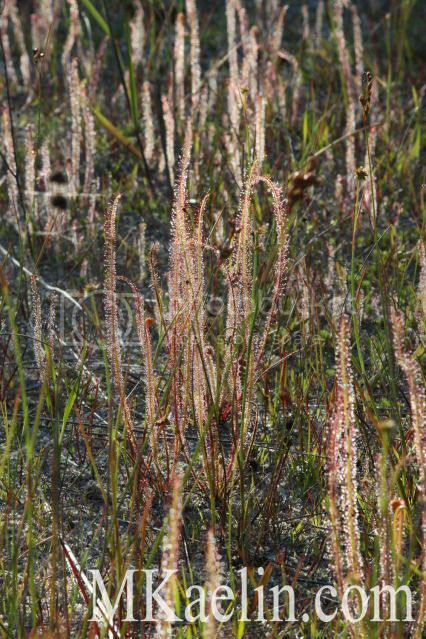 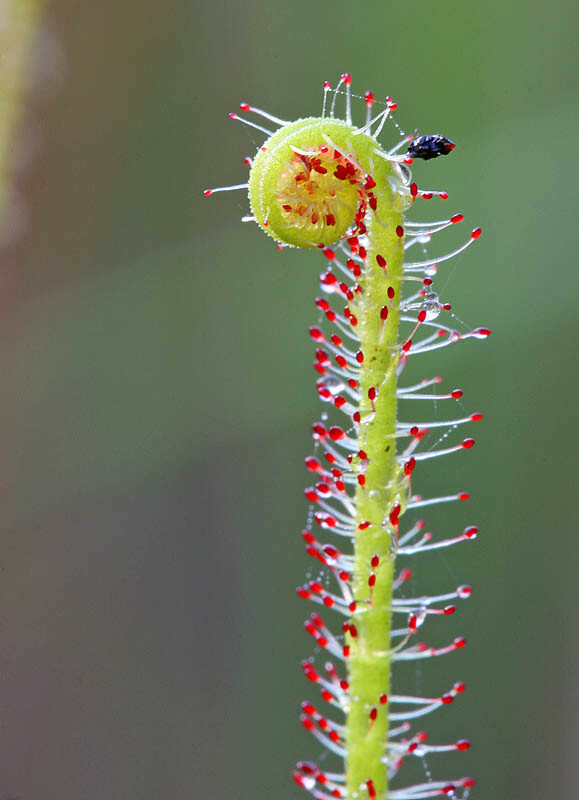 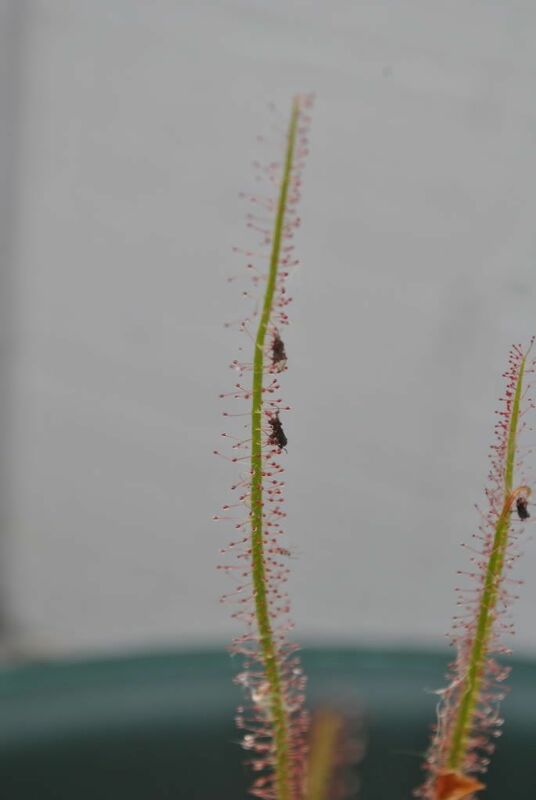 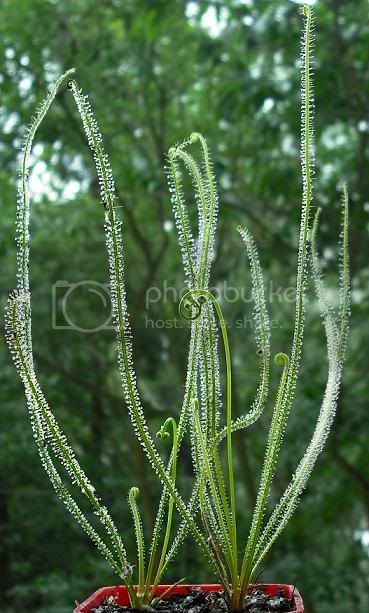 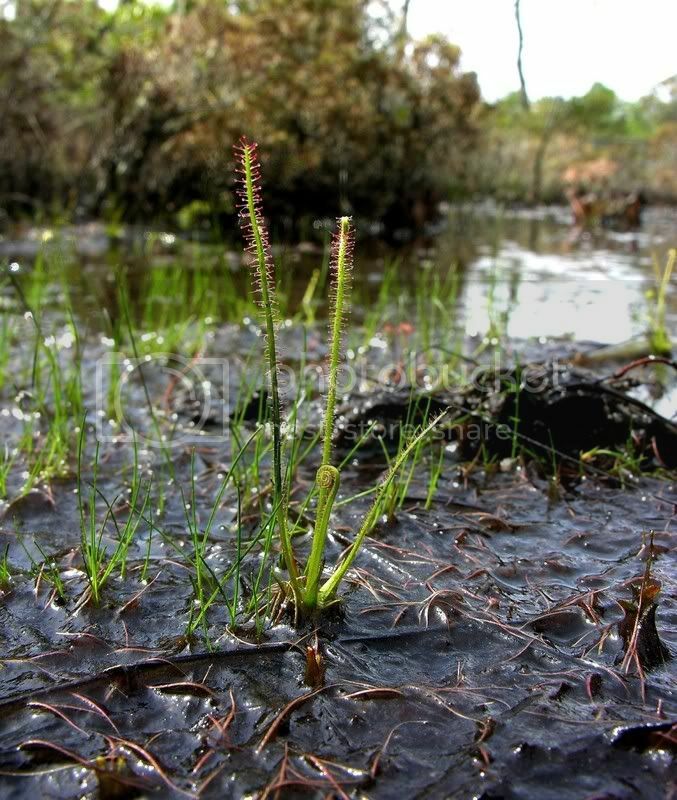 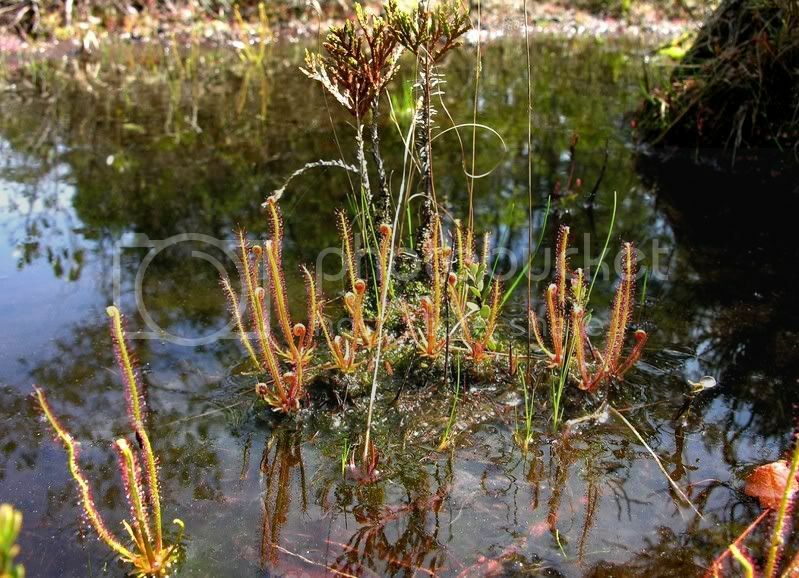 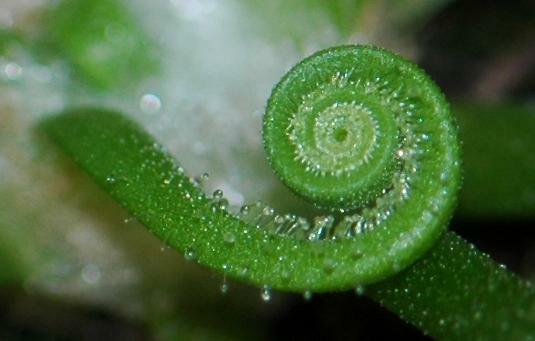 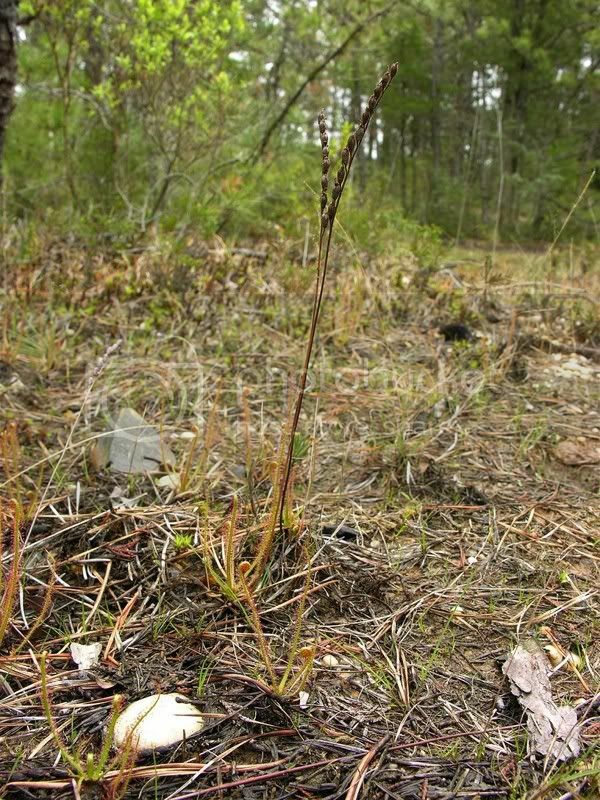 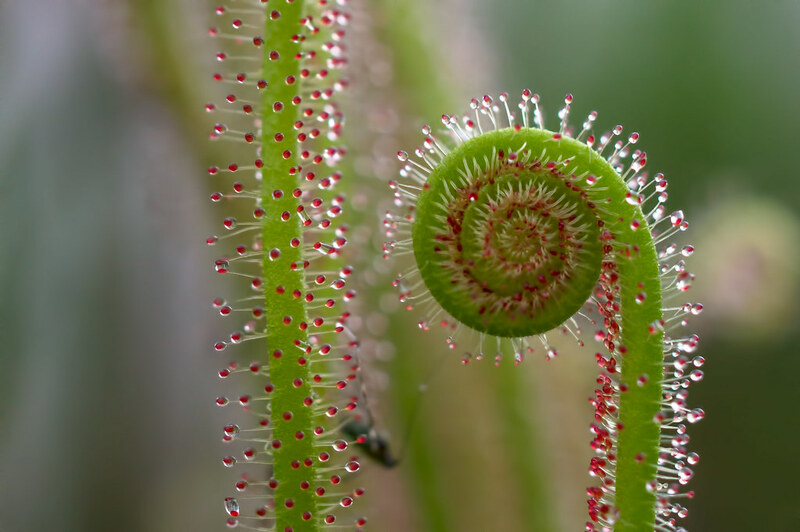 D. filiformis, Columbus County, North Carolina. 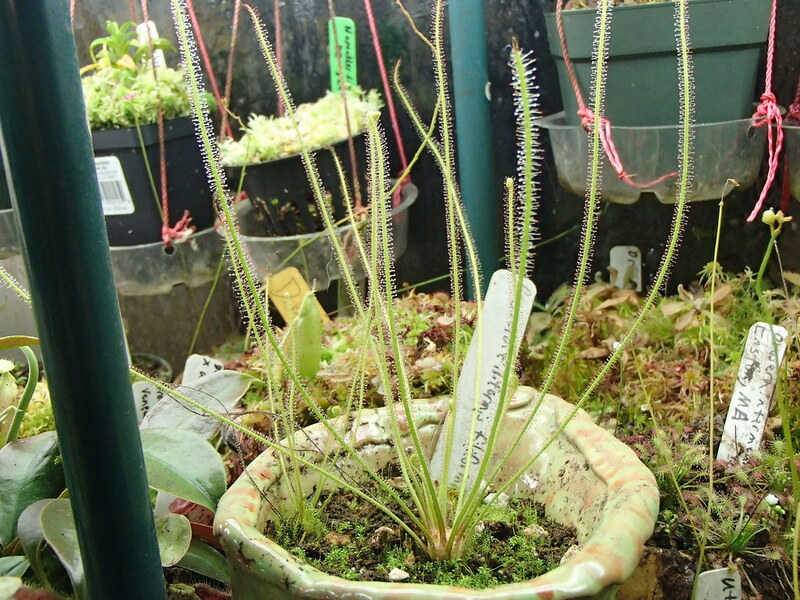 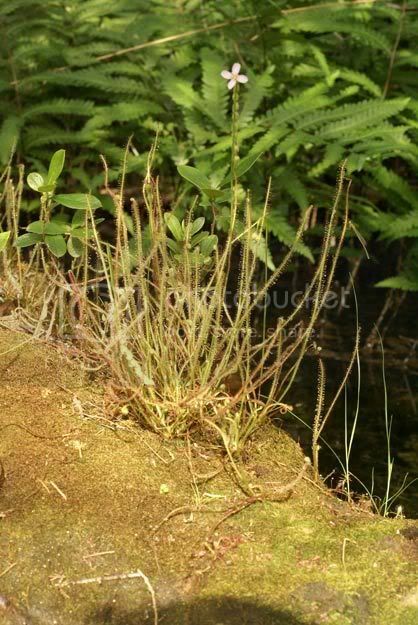 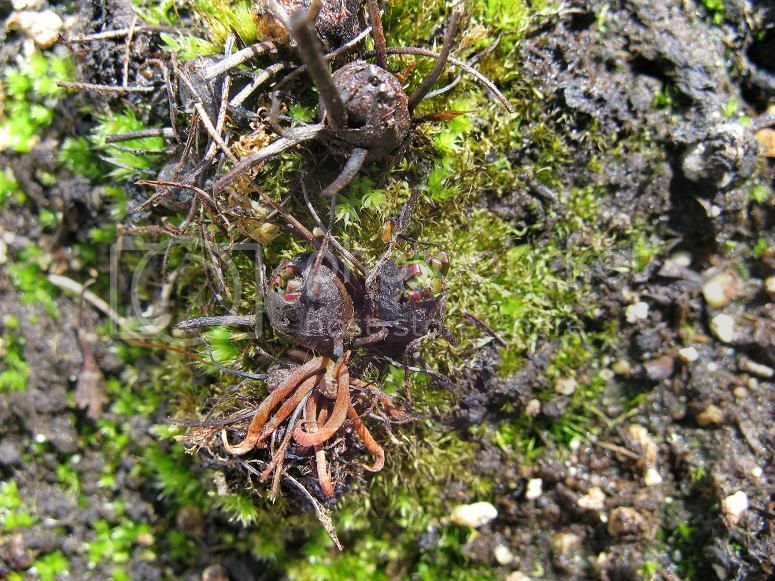 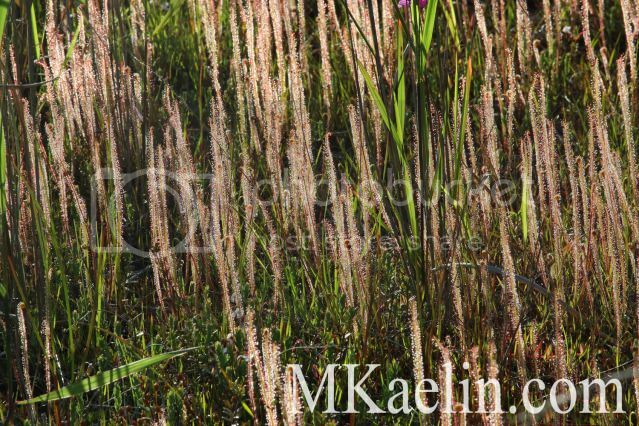 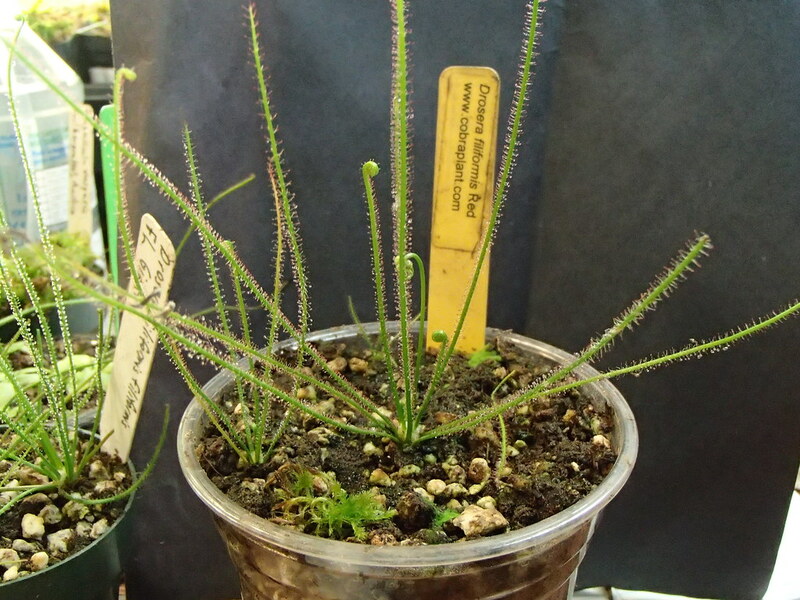 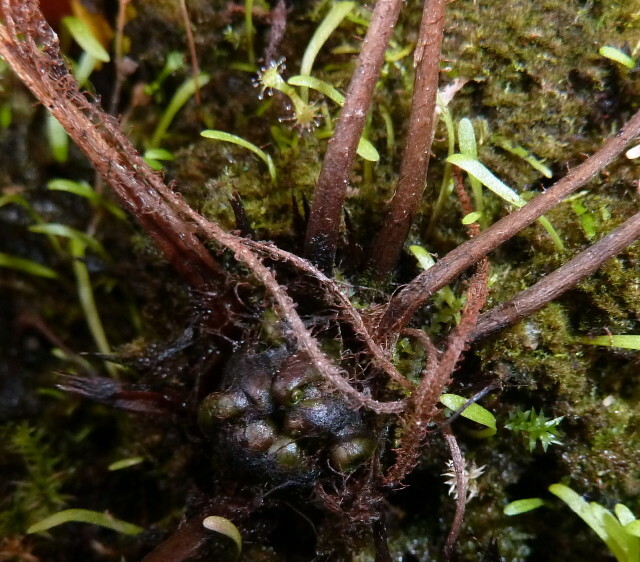 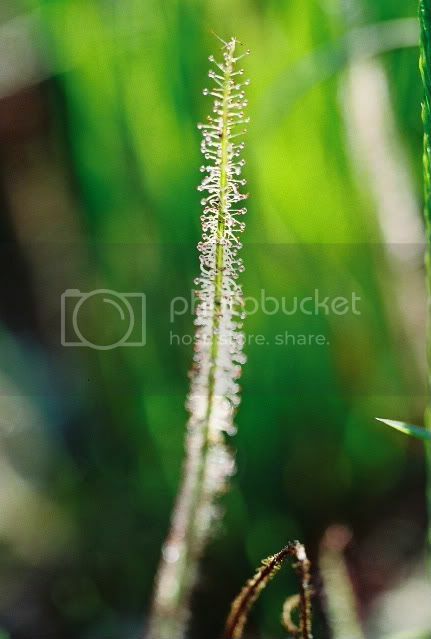 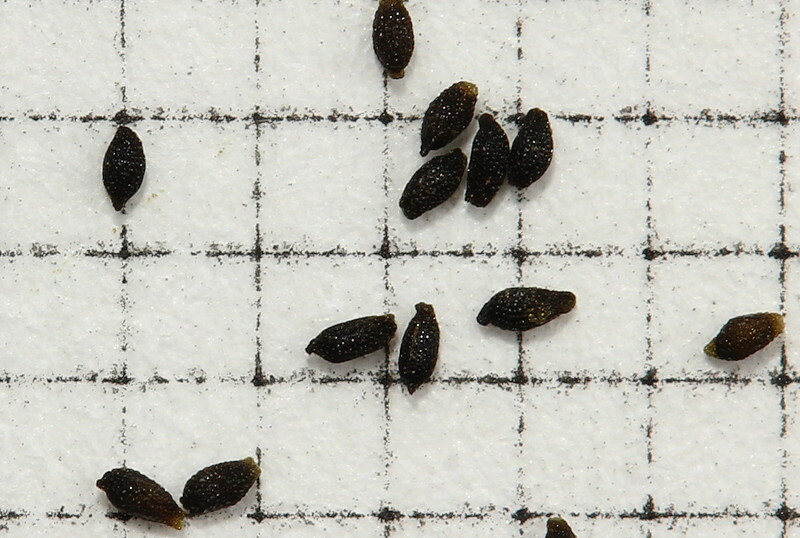 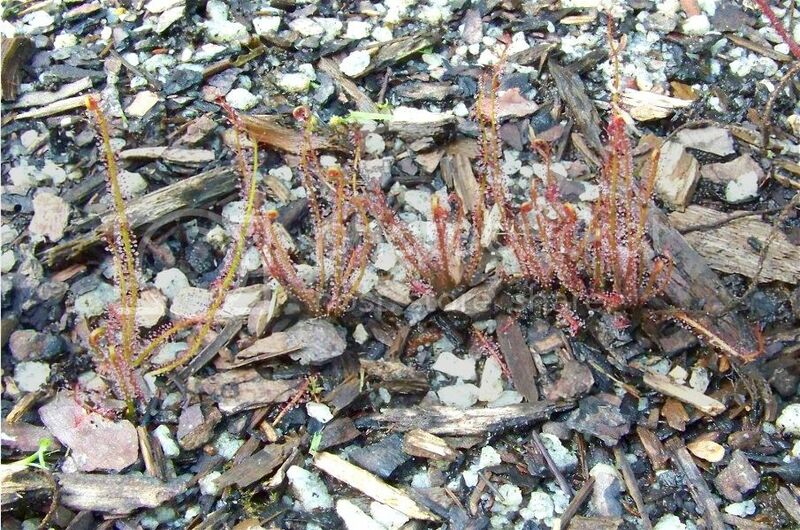 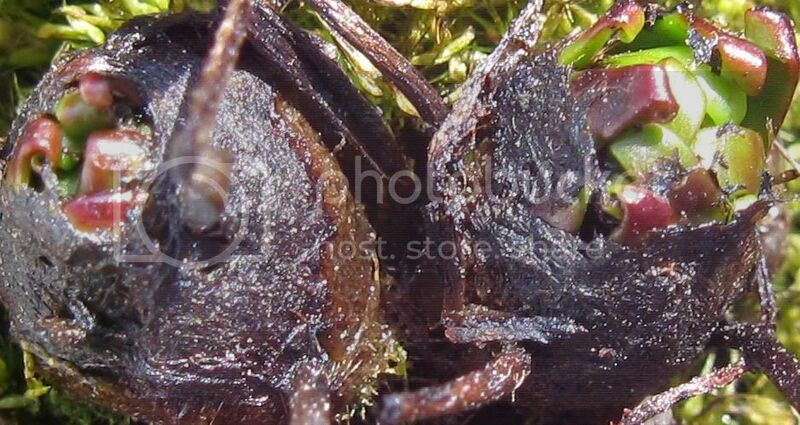 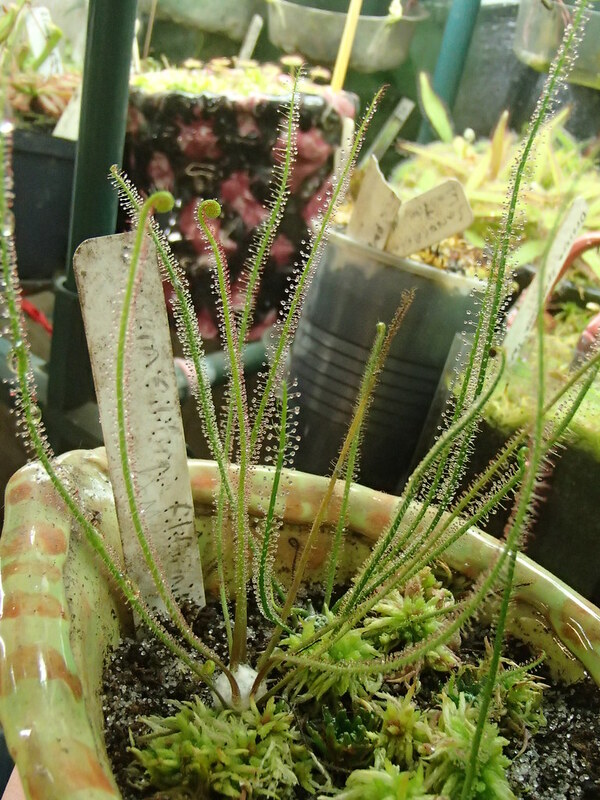 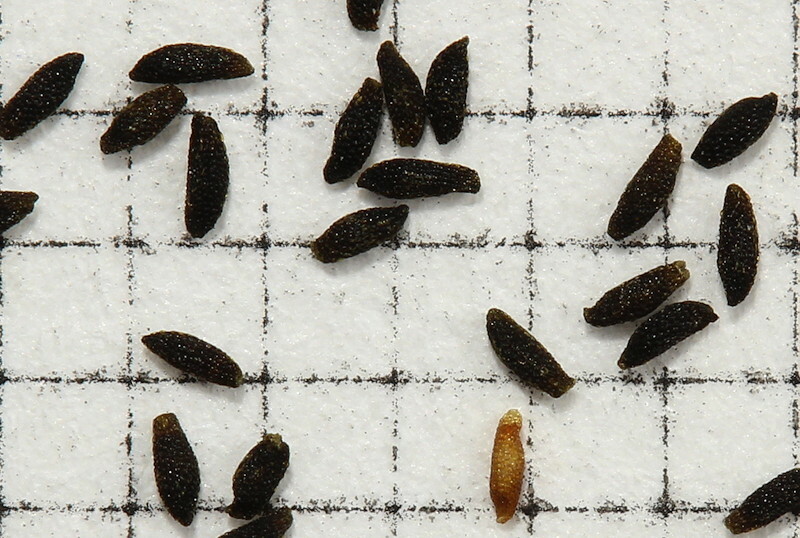 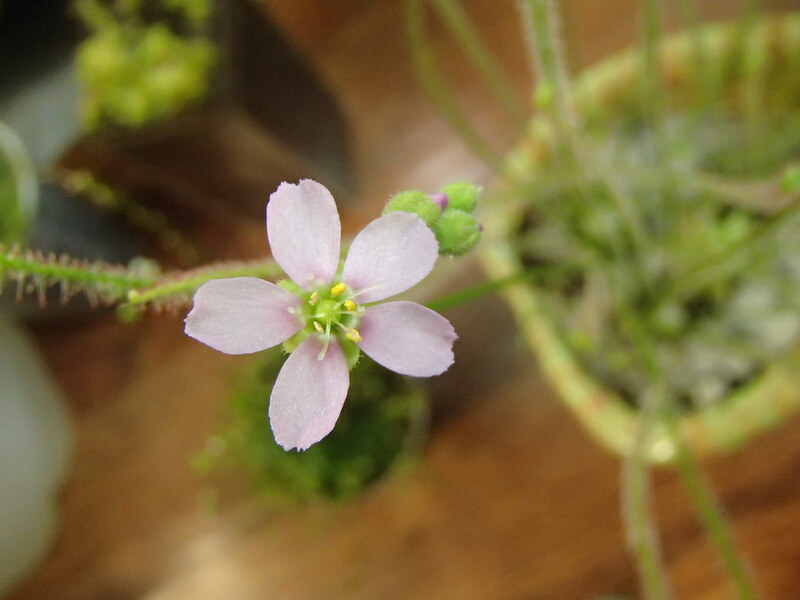 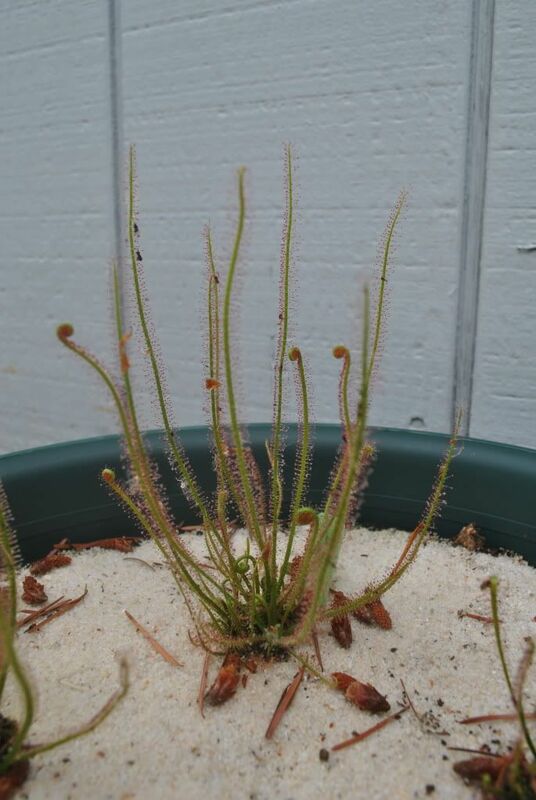 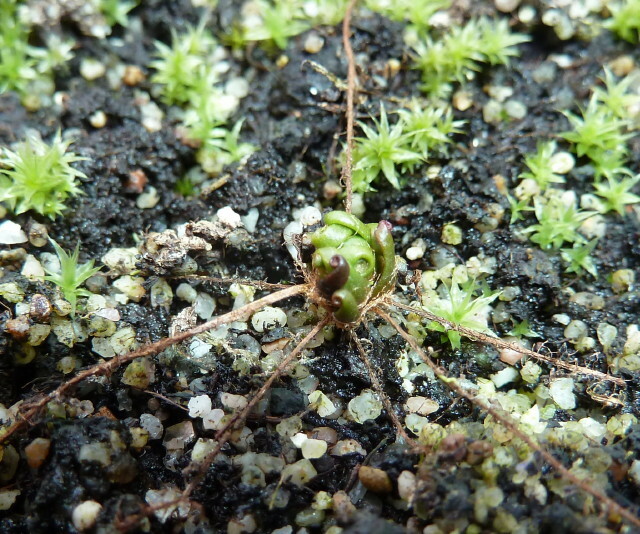 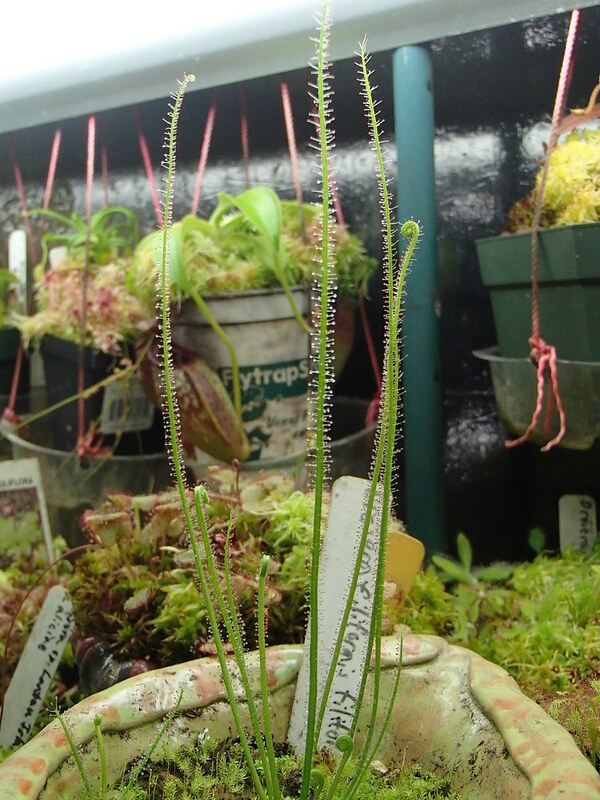 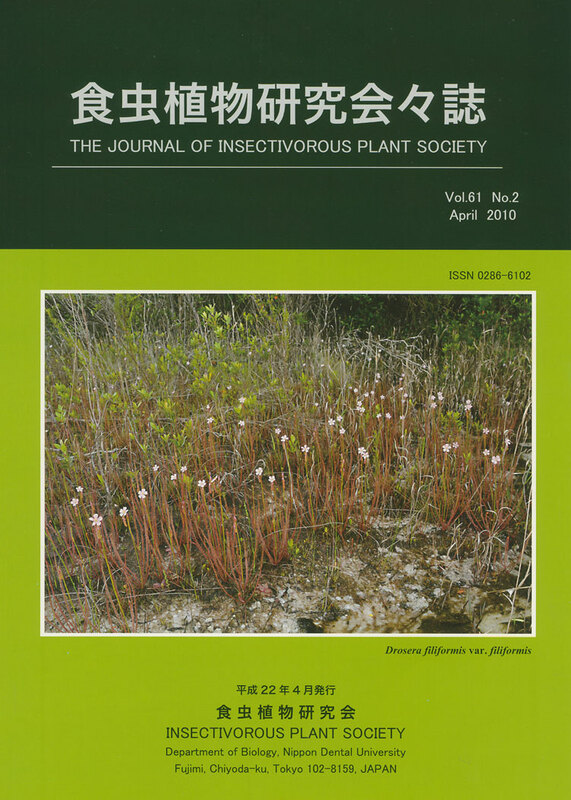 D. filiformis, Ocean County, New Jersey. 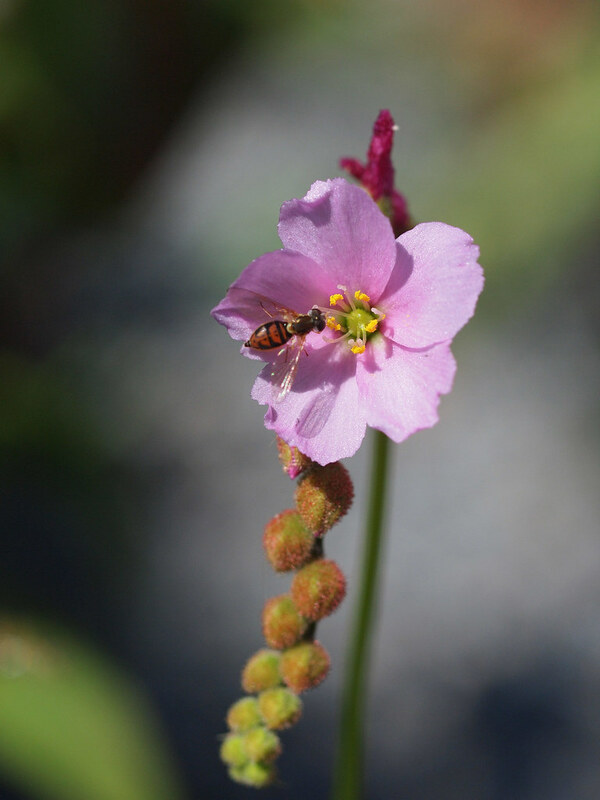 D. x californica 'California Sunset'. 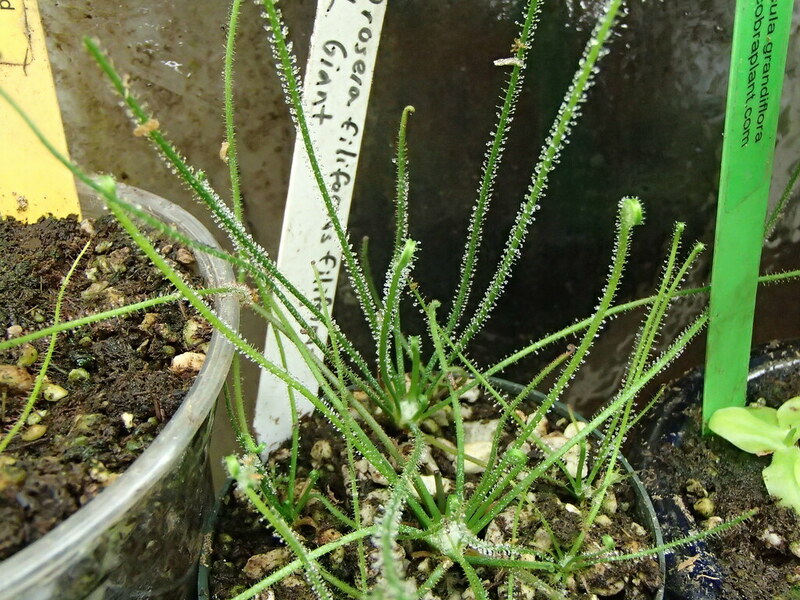 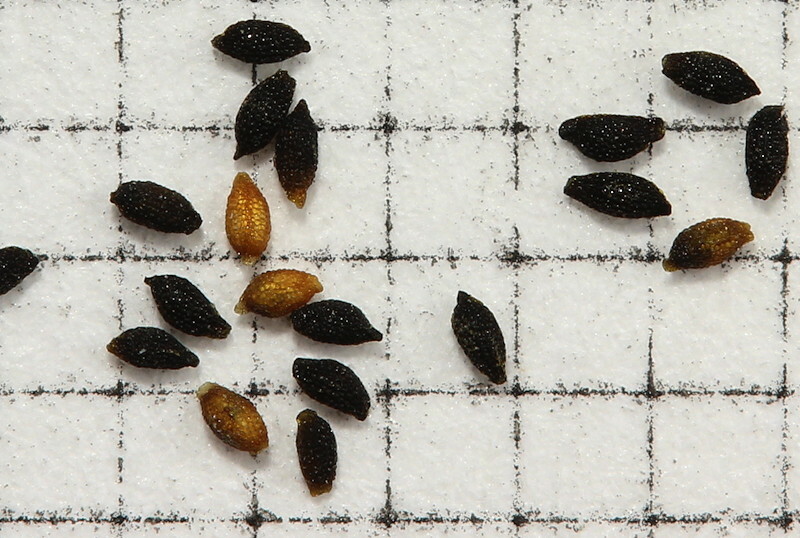 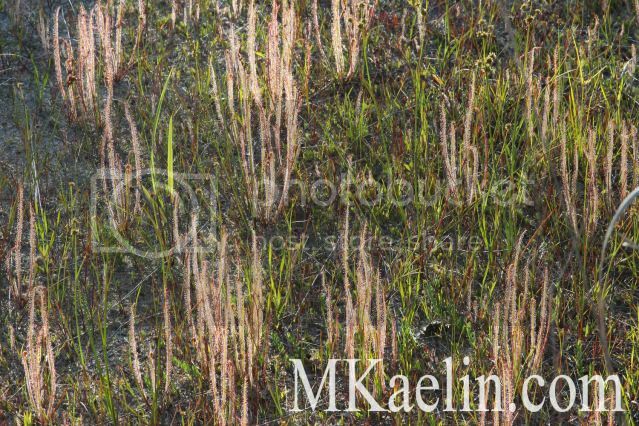 D. tracyi, Walton County, Florida.